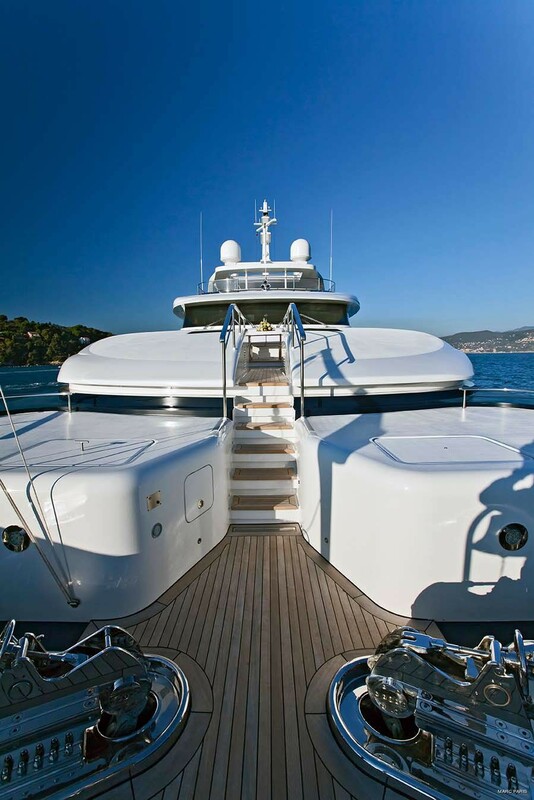 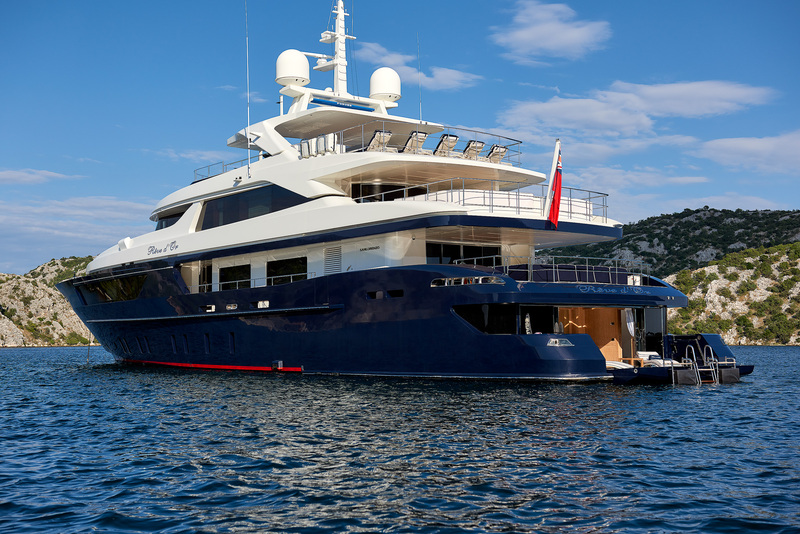 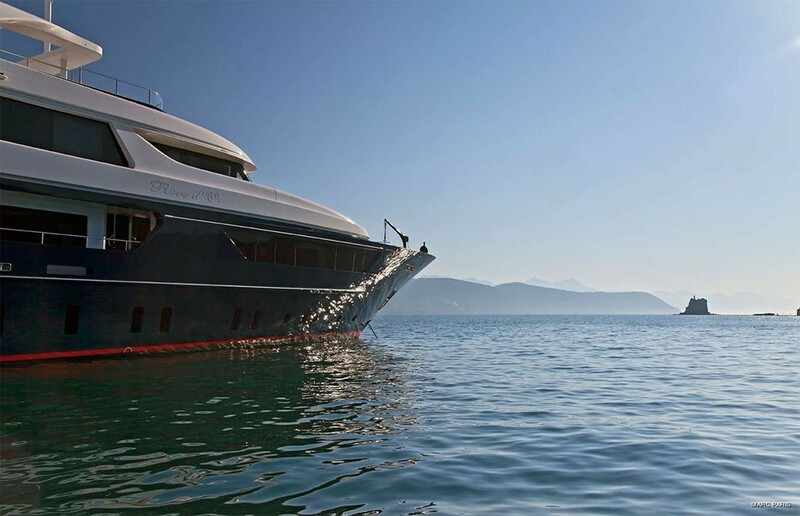 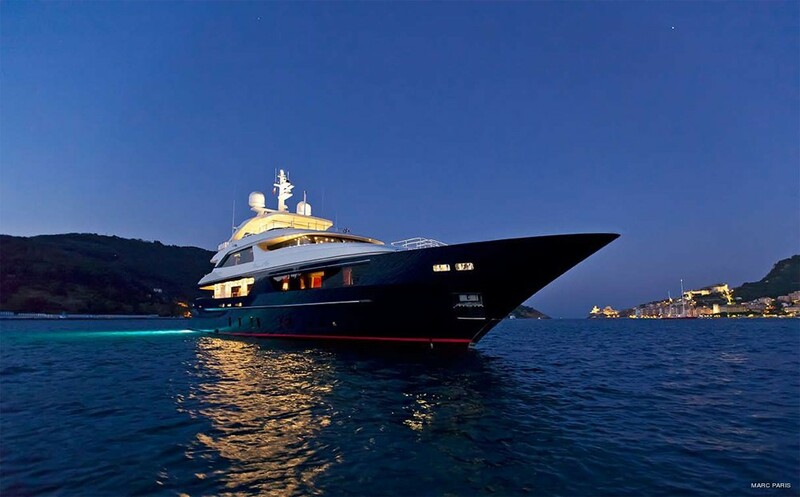 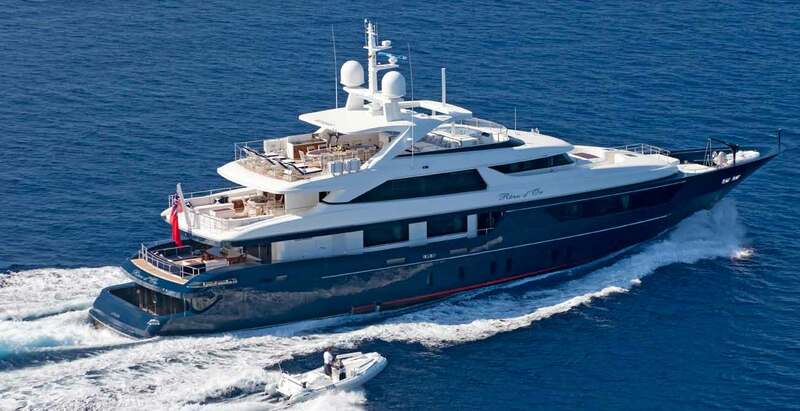 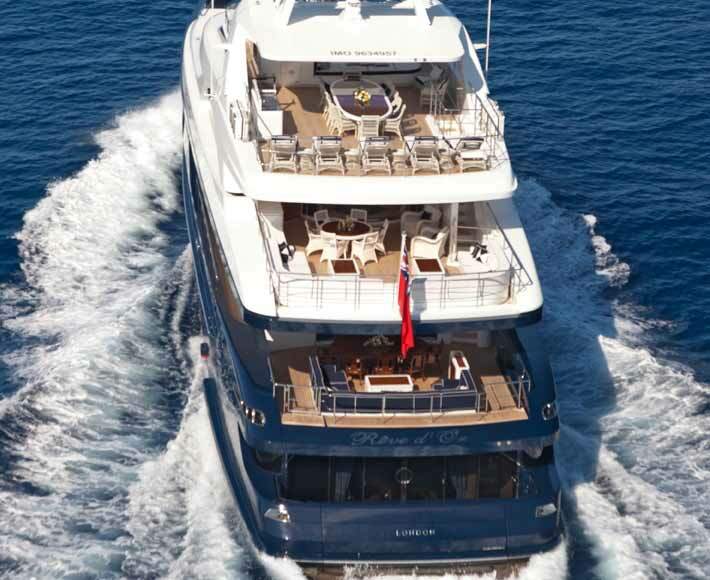 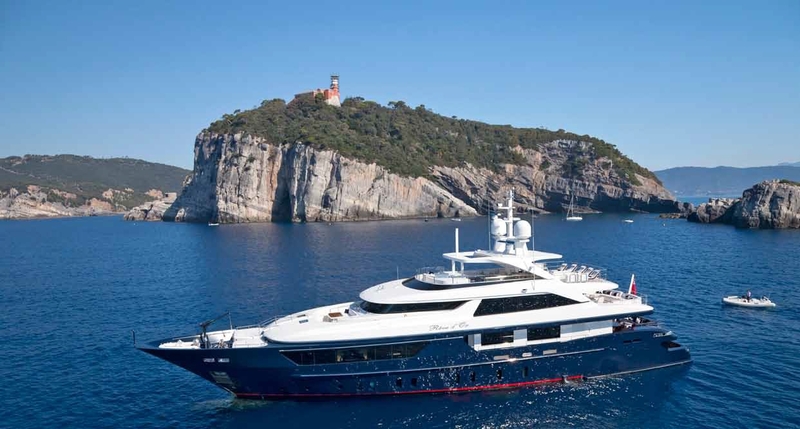 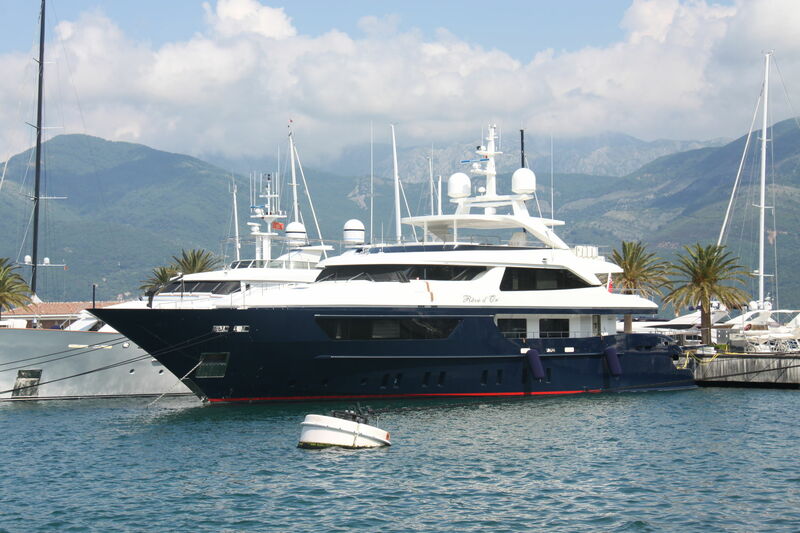 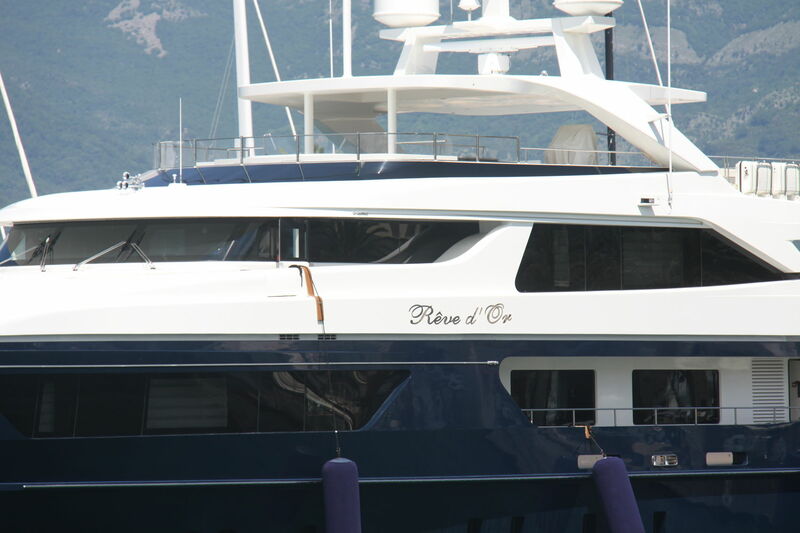 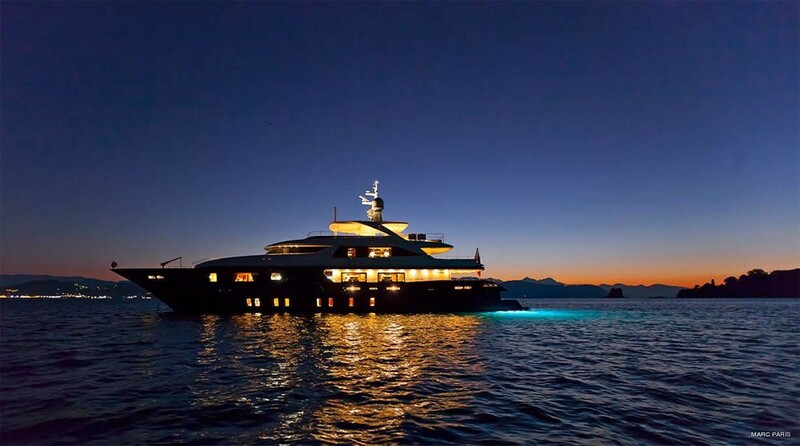 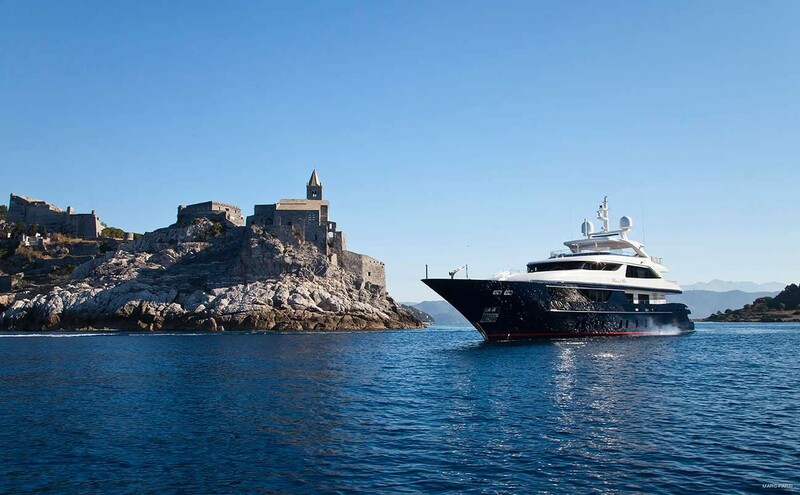 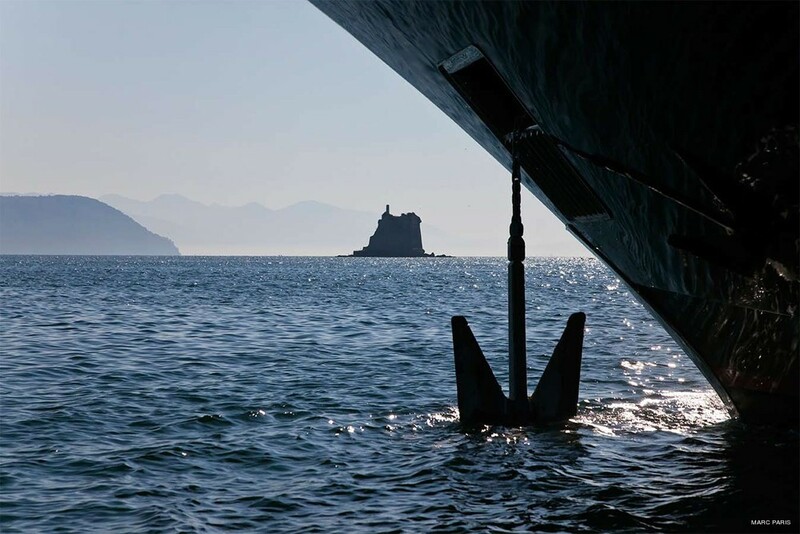 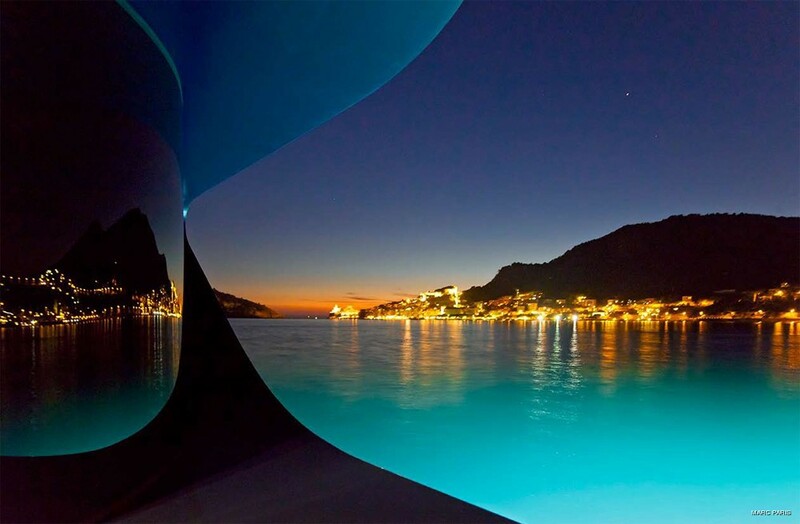 Motor Yacht Rêve d’Or is a Sanlorenzo built luxury vessel measuring 46 meters in length overall. 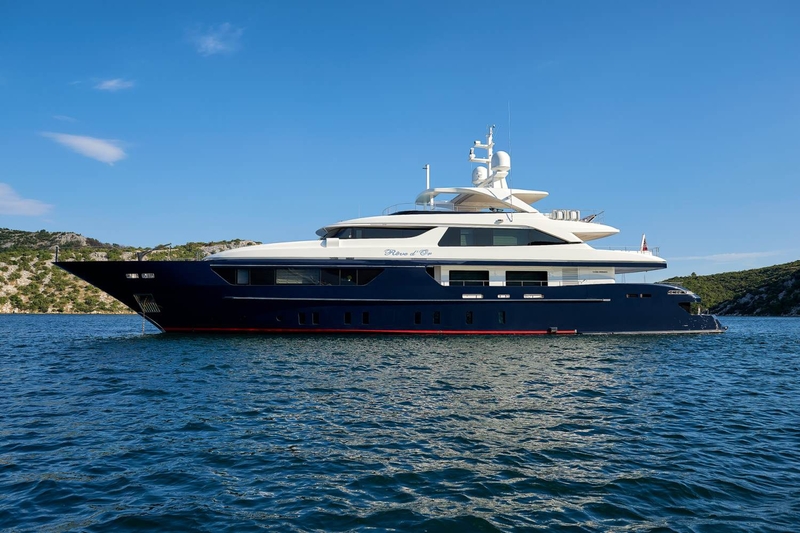 She was launched from the Italian shipyard in June 2011 and boasts interior design by Studio Massari Interior Architecture and Design. 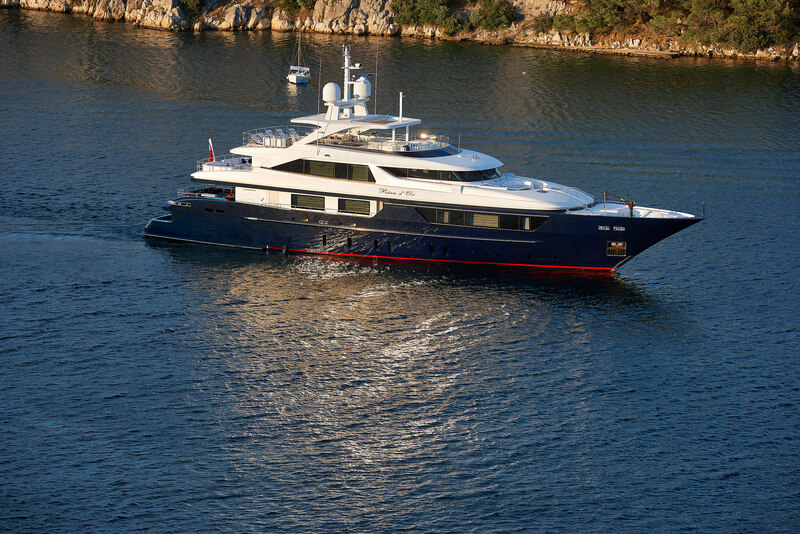 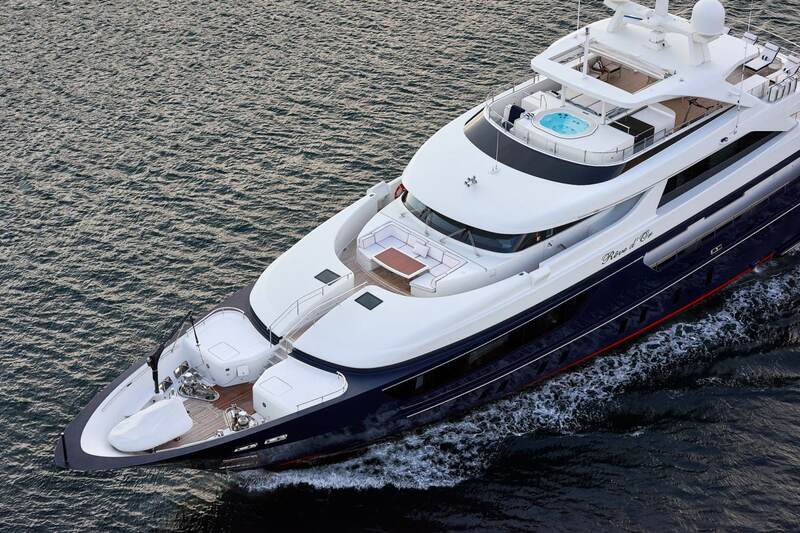 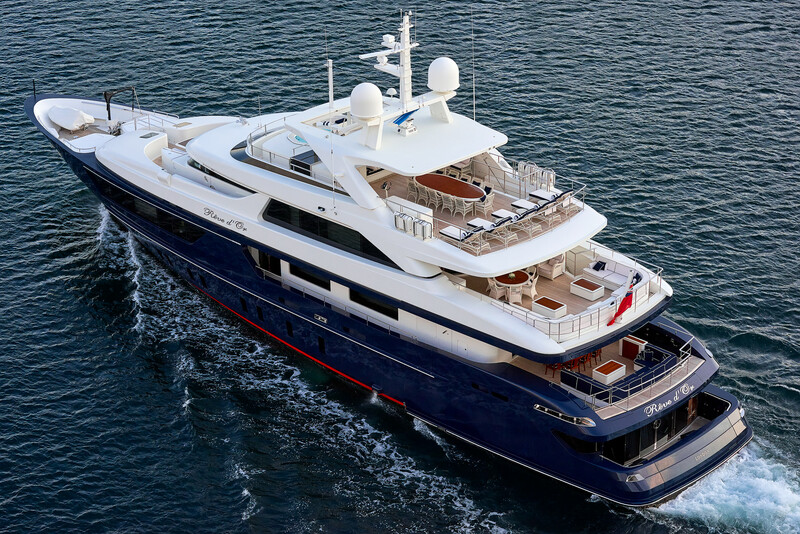 Superyacht Rêve d’Or is the third SanLorenzo 46 Steel yacht model. 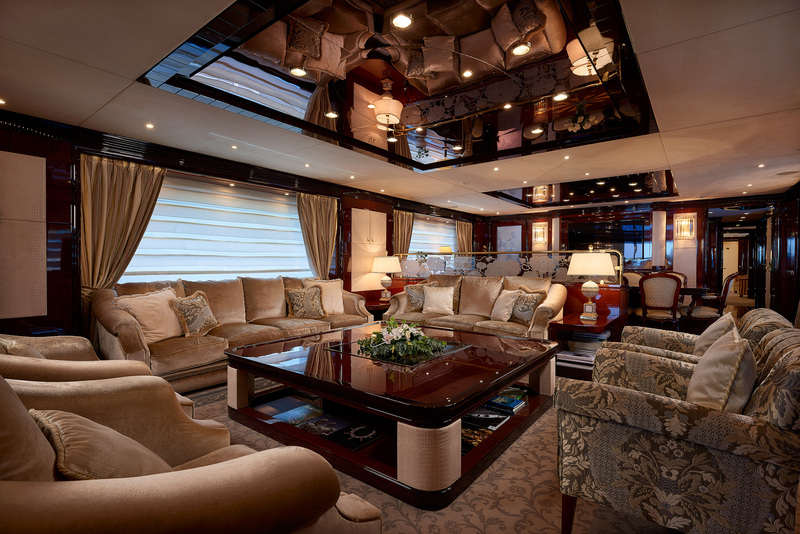 The interior décor is elegant and sophisticated. 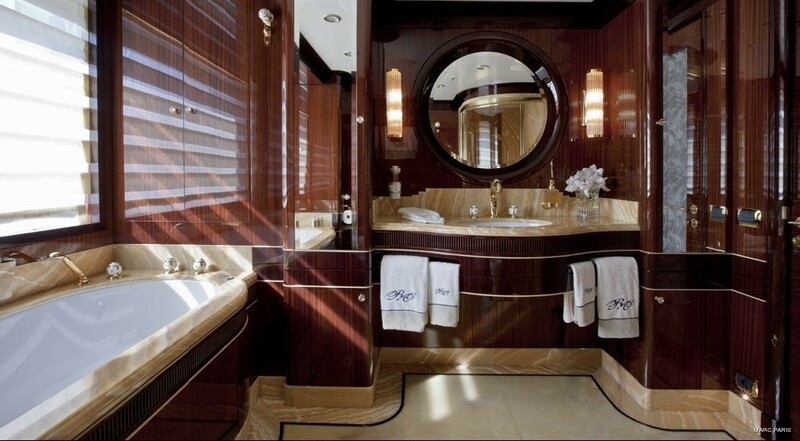 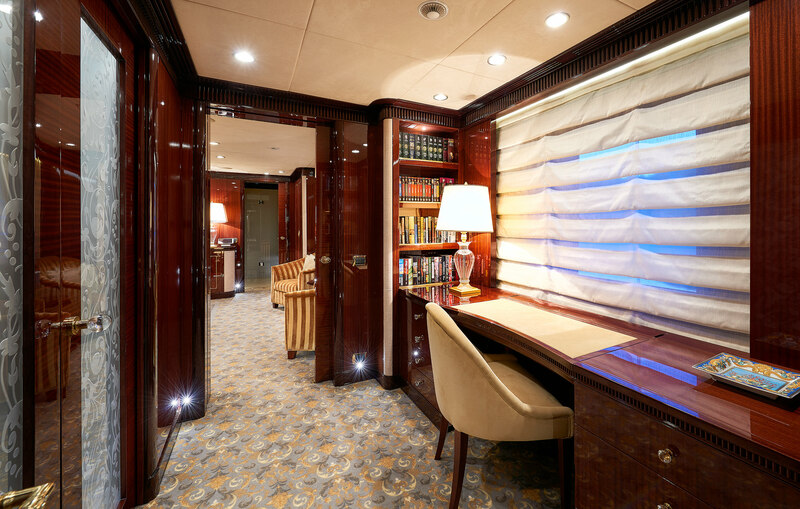 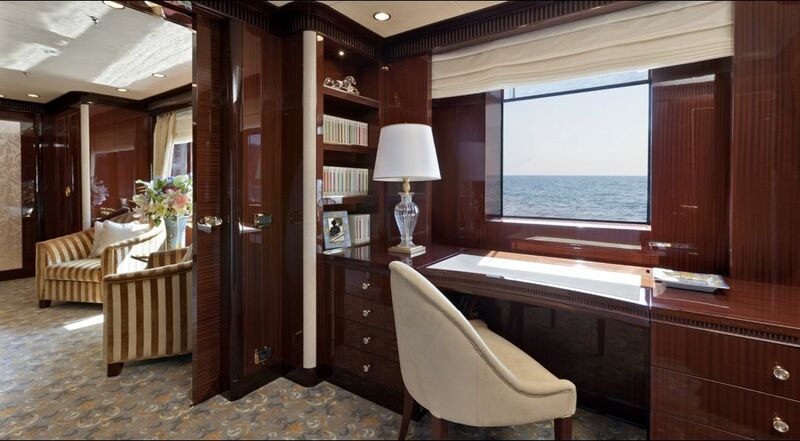 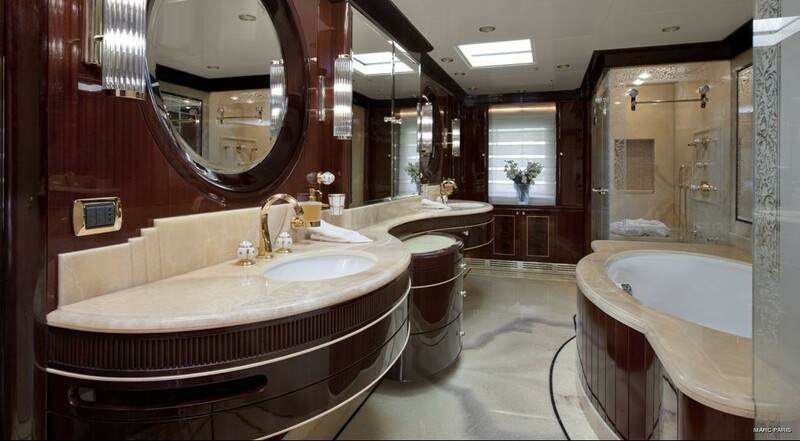 Throughout the yacht, the bespoke and luxurious detail is evident from the fabrics to the woods, fixtures, and fittings. 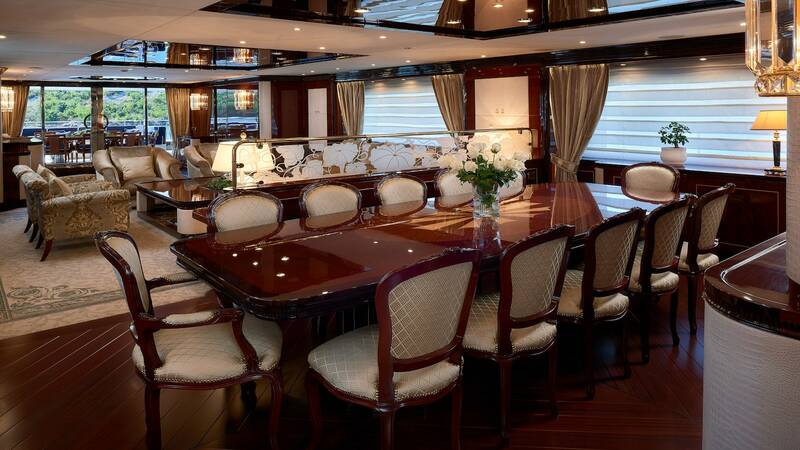 Her open plan dining and salon is inviting and ideal for socializing in style. 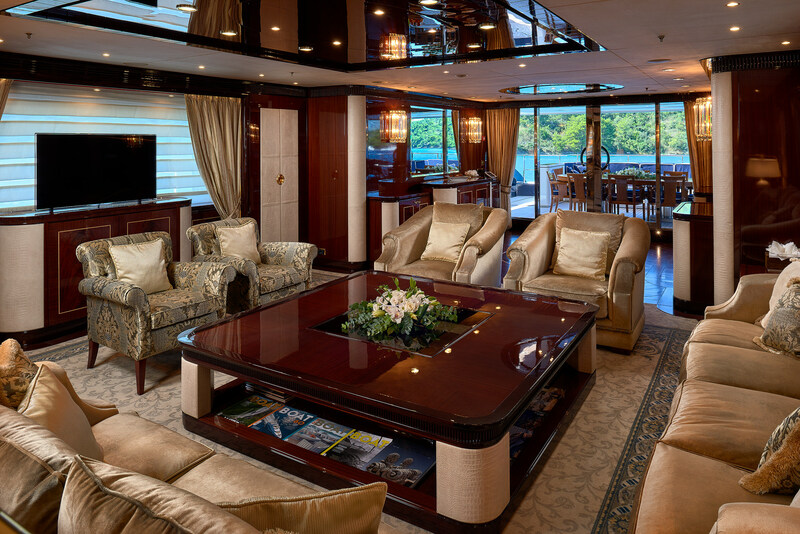 The lounge is aft and offers a choice of plush seating and a large coffee table, while forward is a beautifully finished oval dining table. 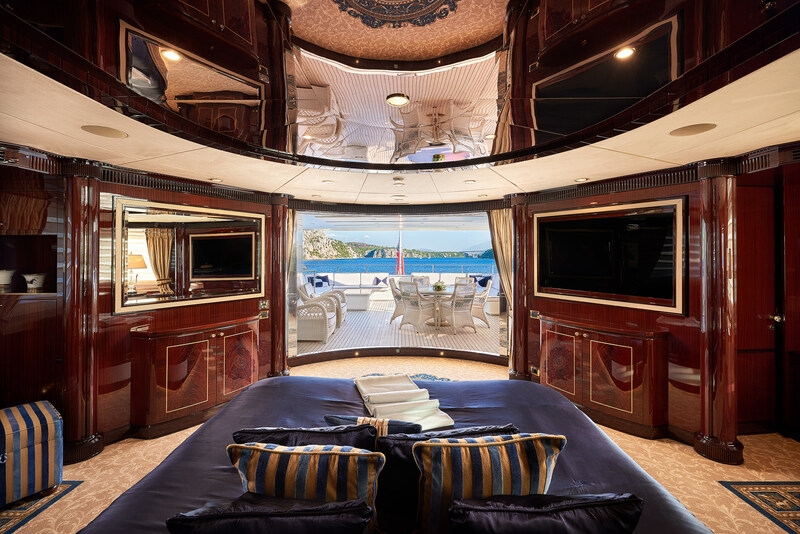 Panoramic windows provide ample light and views, while full-length tailored curtains ensure privacy. 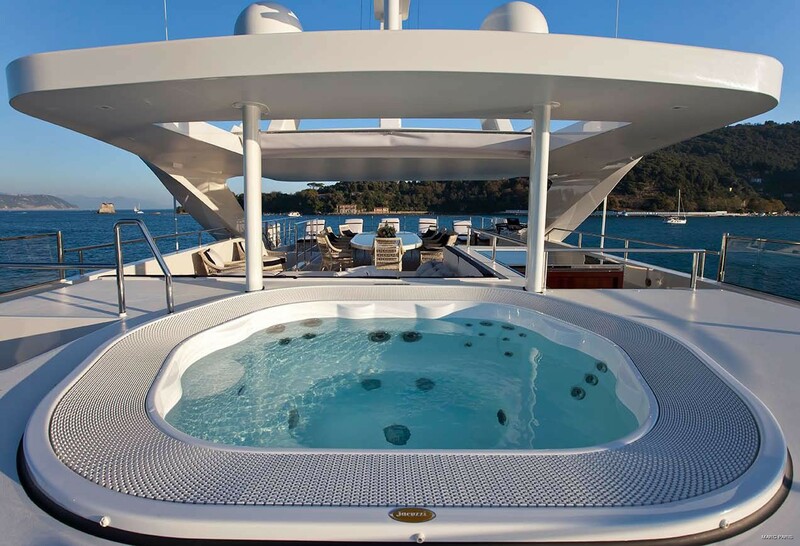 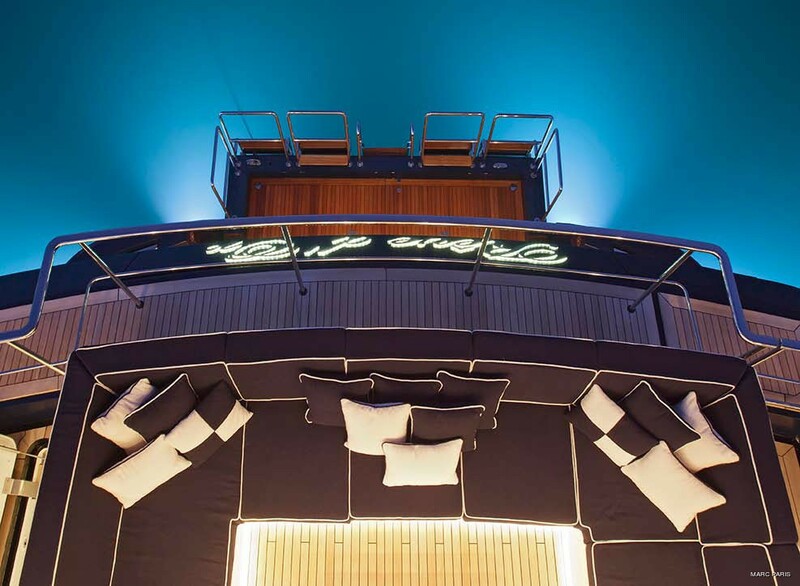 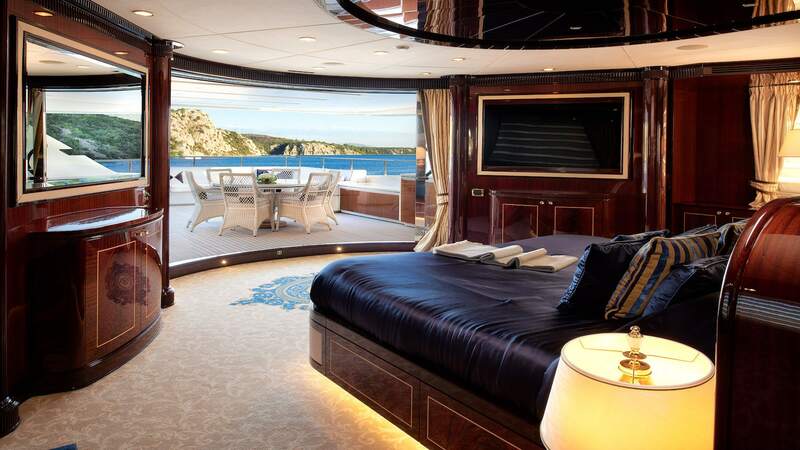 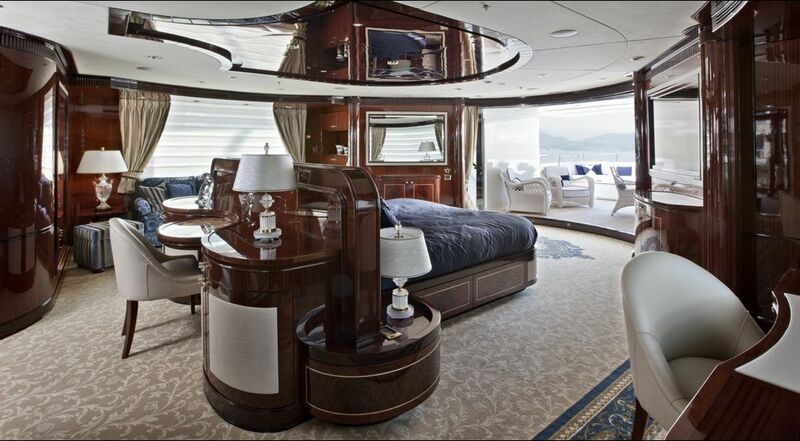 On the main deck forward is the VIP cabin, featuring a full beam layout, private seating area, and generous ensuite. 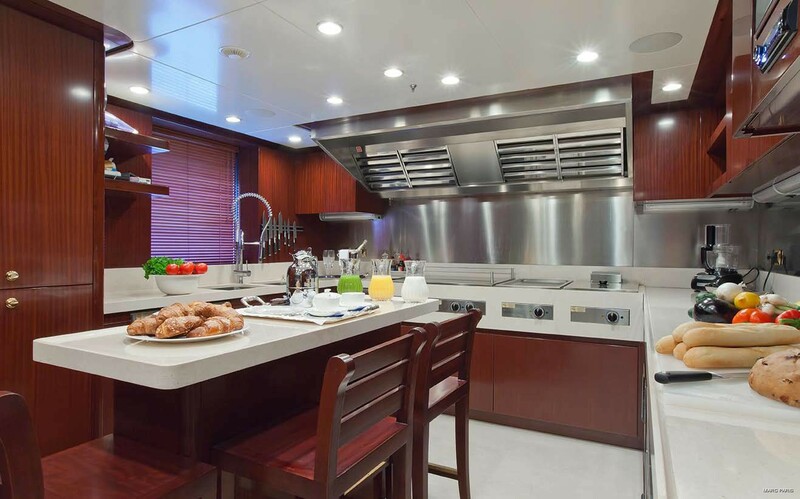 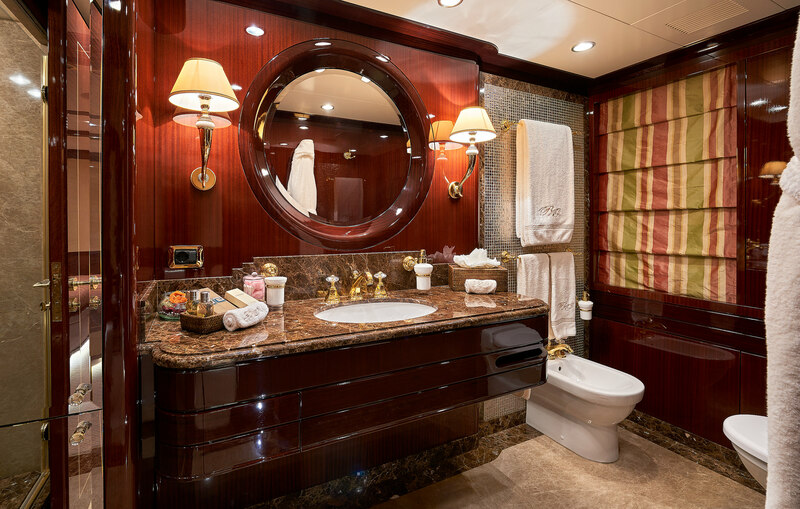 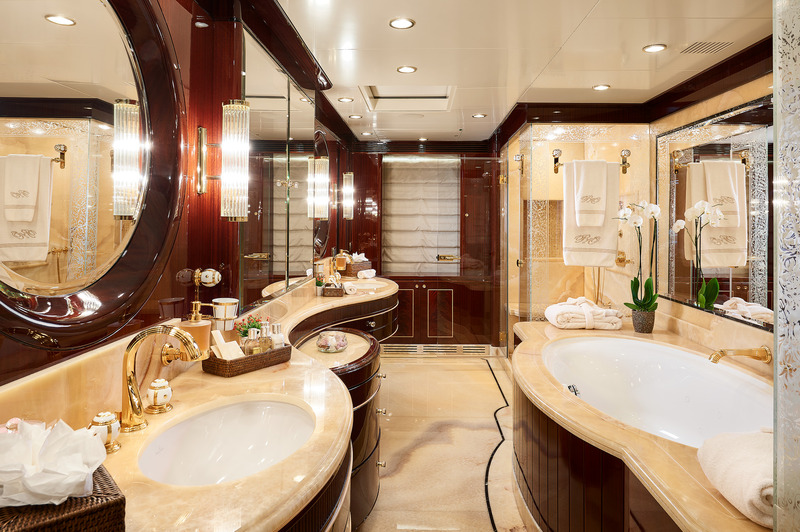 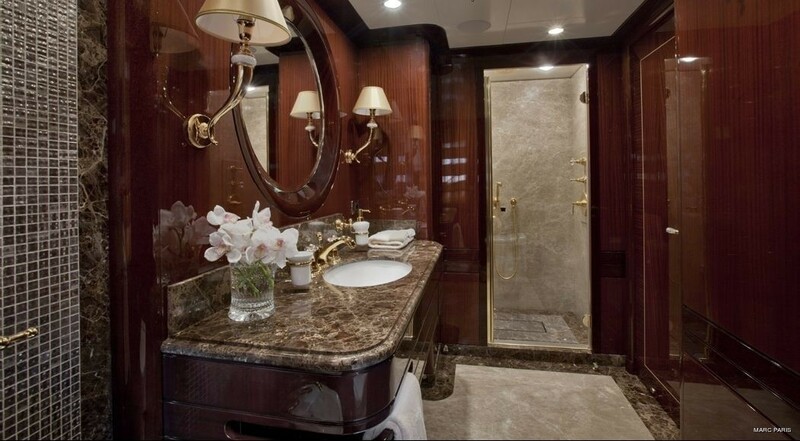 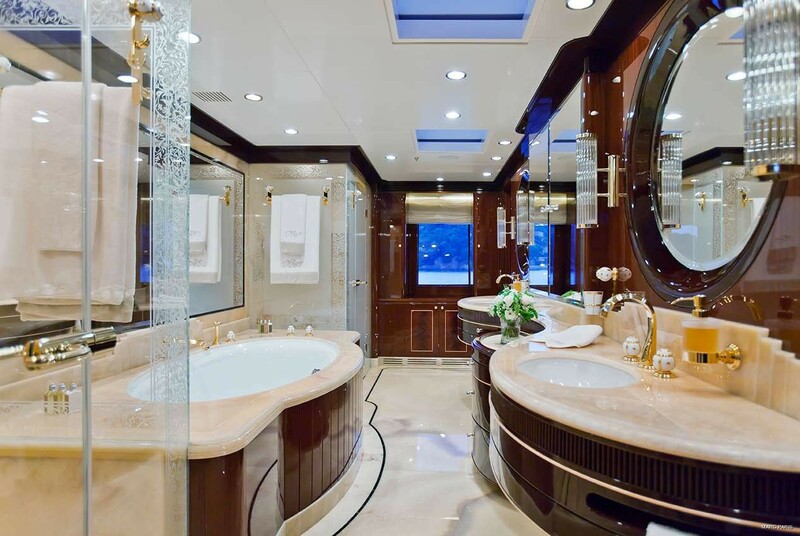 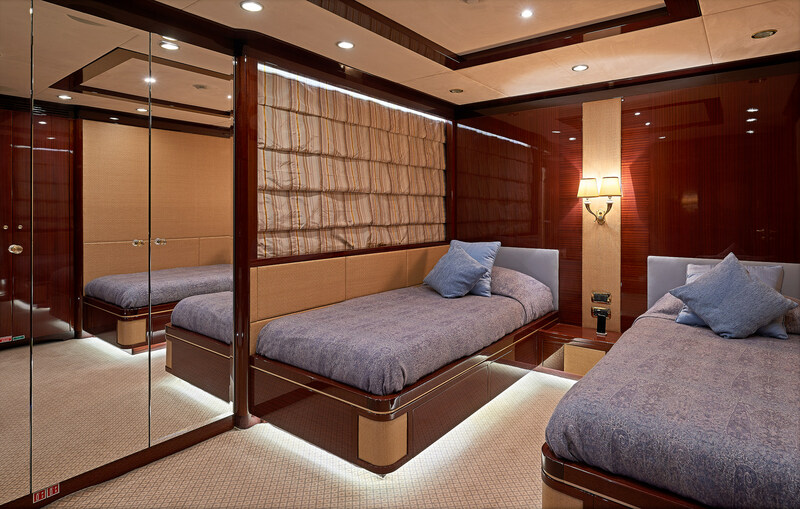 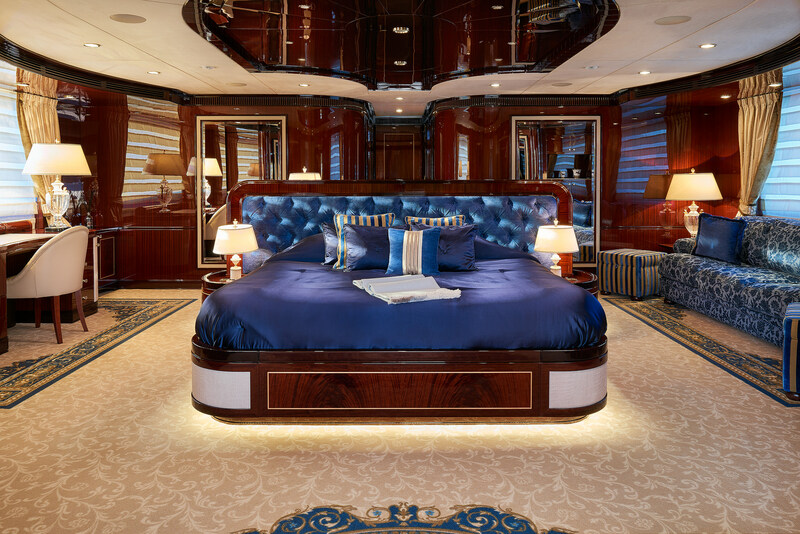 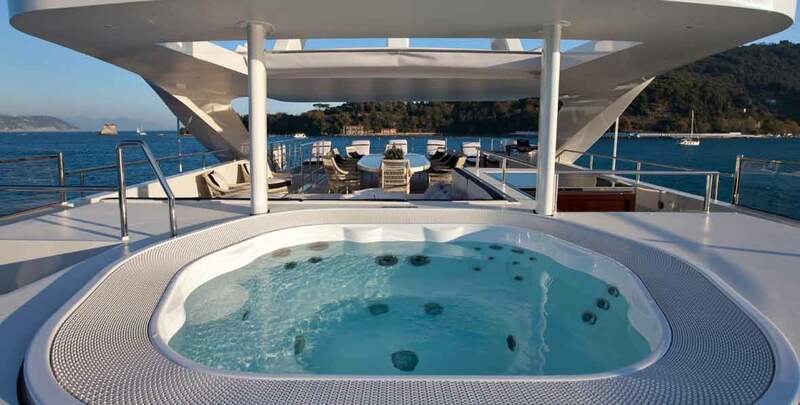 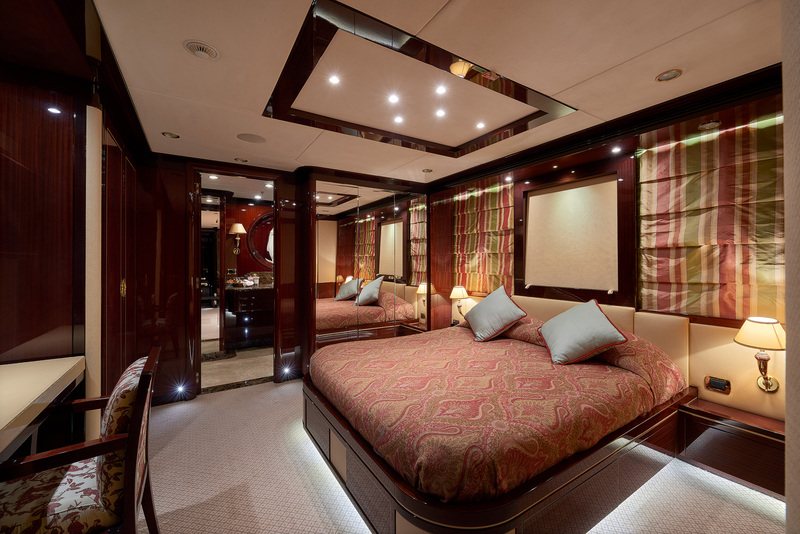 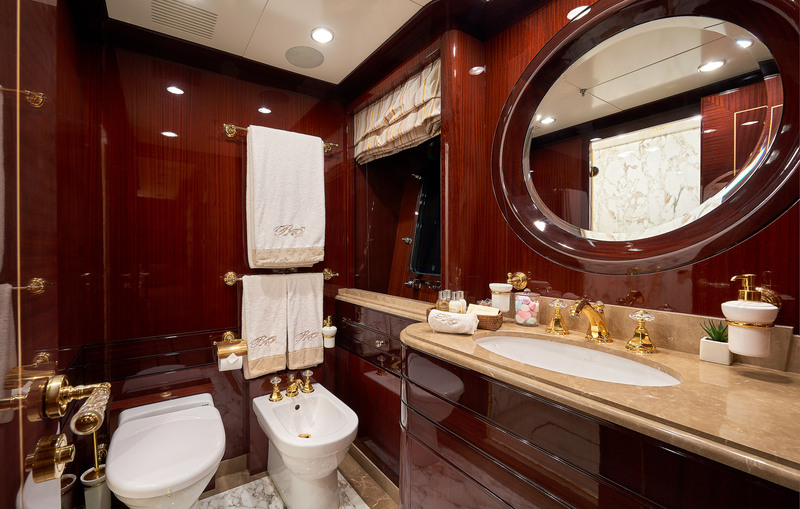 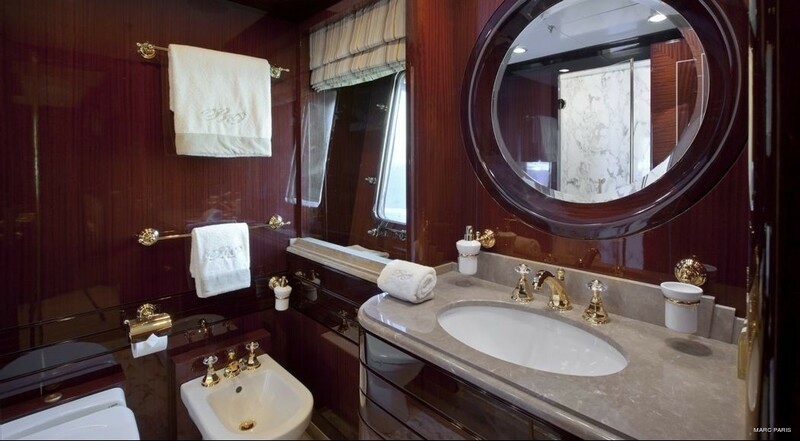 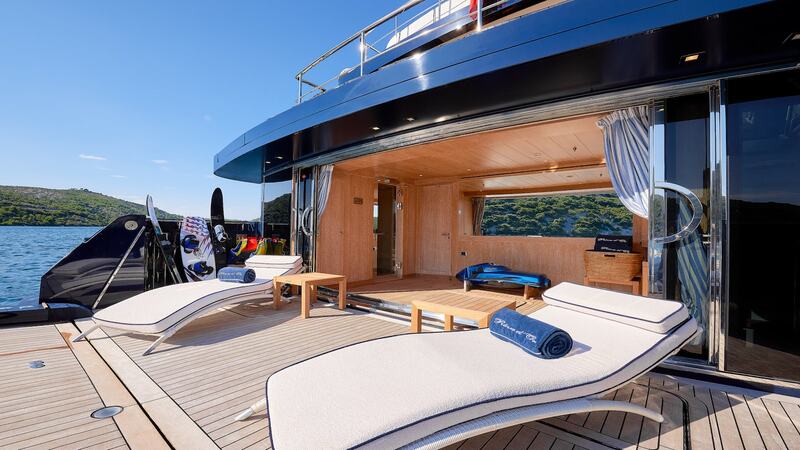 The master cabin is truly lavish and located on the upper deck; it boasts a full beam layout, sofa, vanity, large ensuite with his and hers sinks and tub plus a private exterior deck aft. On the lower deck are 2 double cabins and 2 twin cabins. 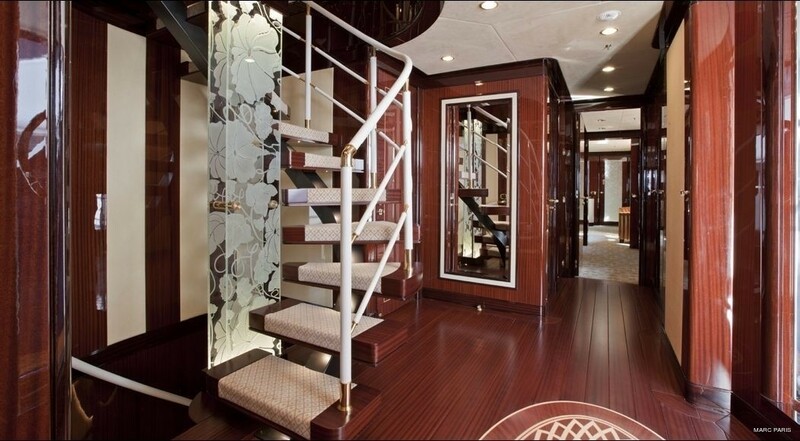 The exterior living is extremely well-appointed on 4 levels. A beach club on the lower deck gives easy access to the water toys on offer and is the perfect way to spend the afternoon with family and friends. 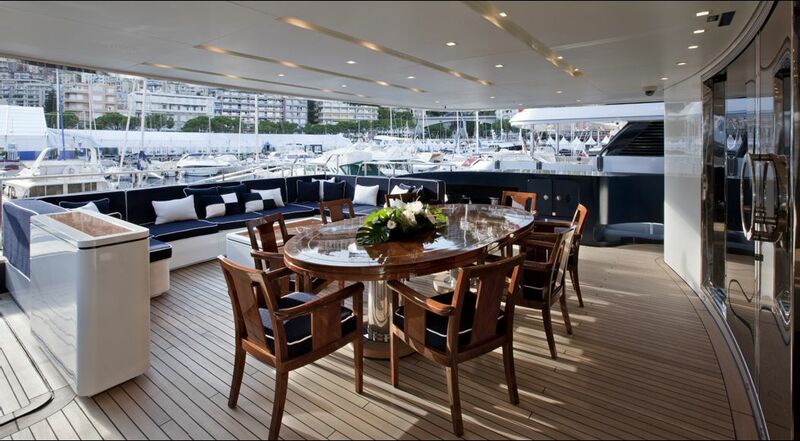 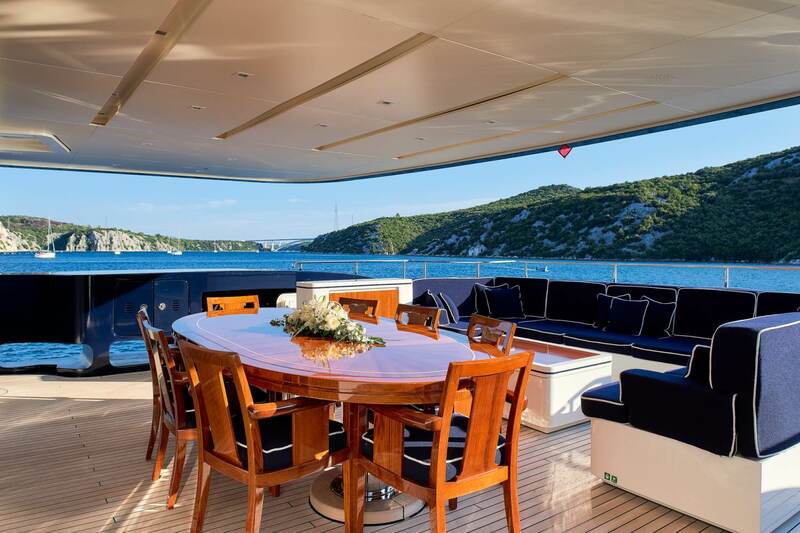 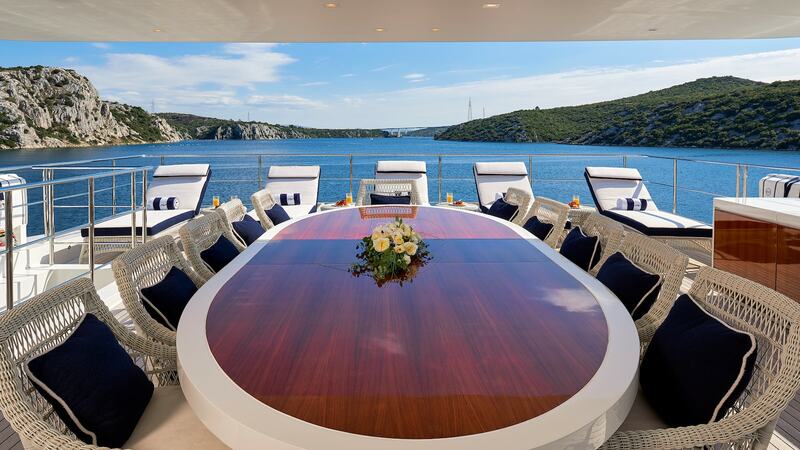 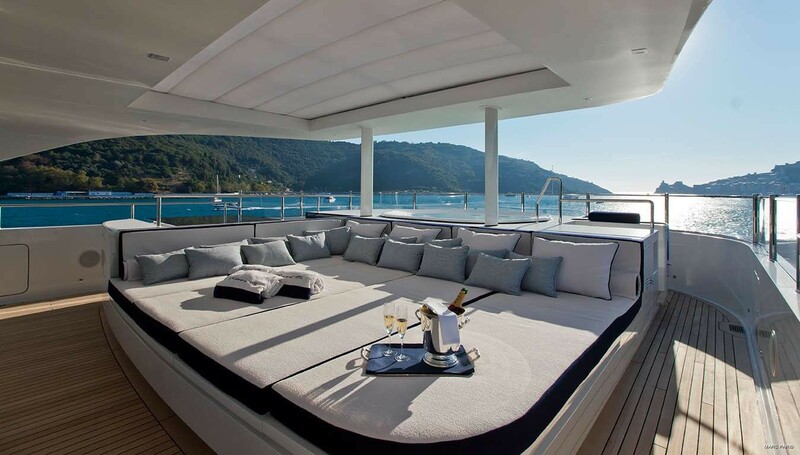 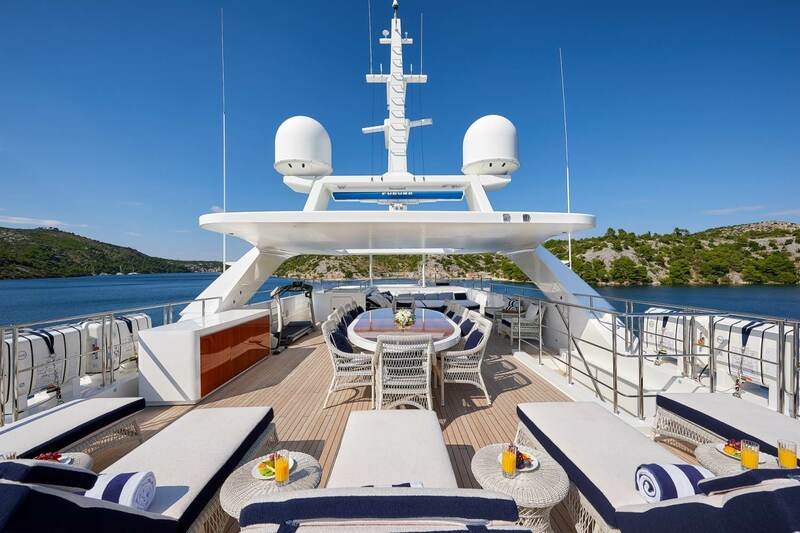 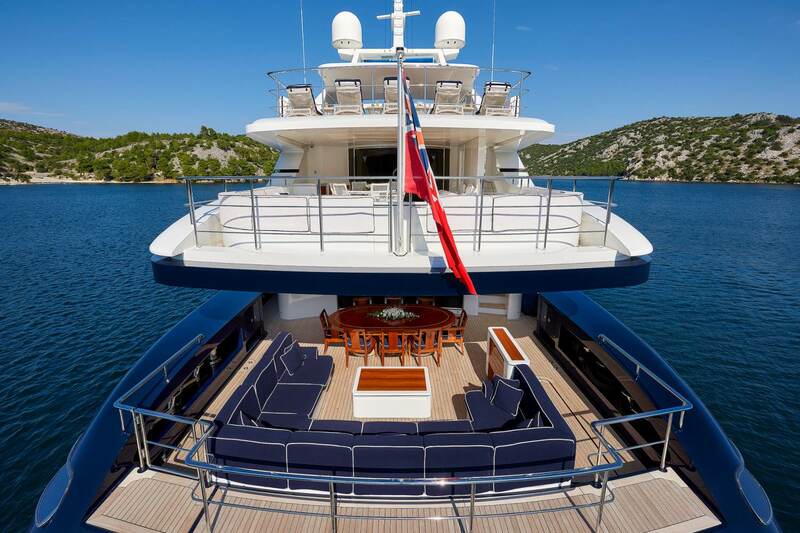 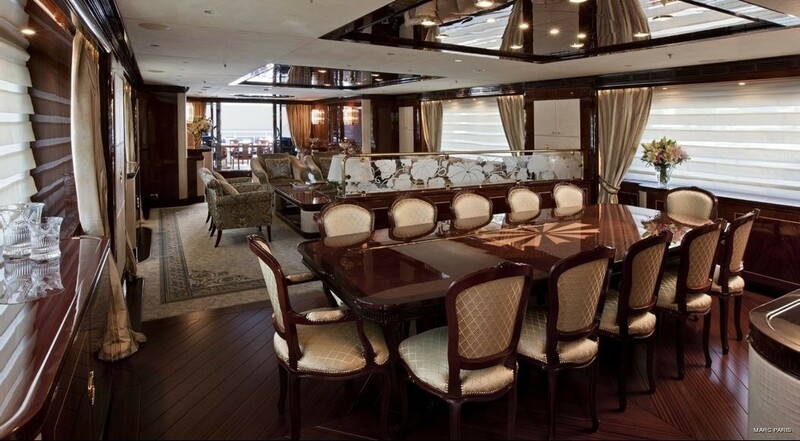 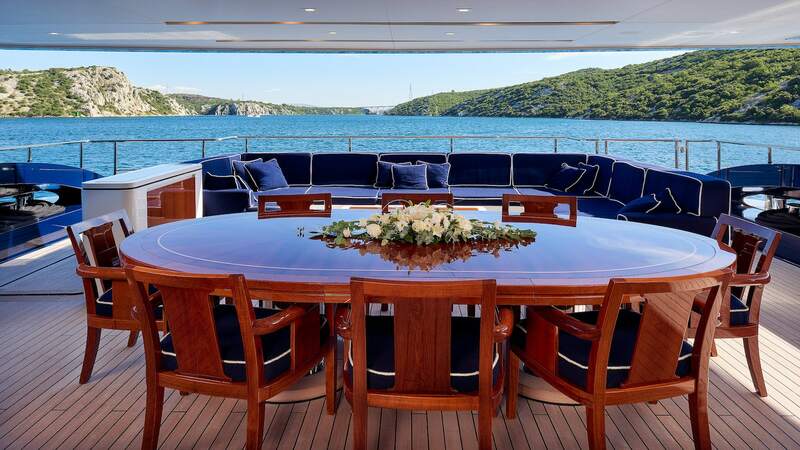 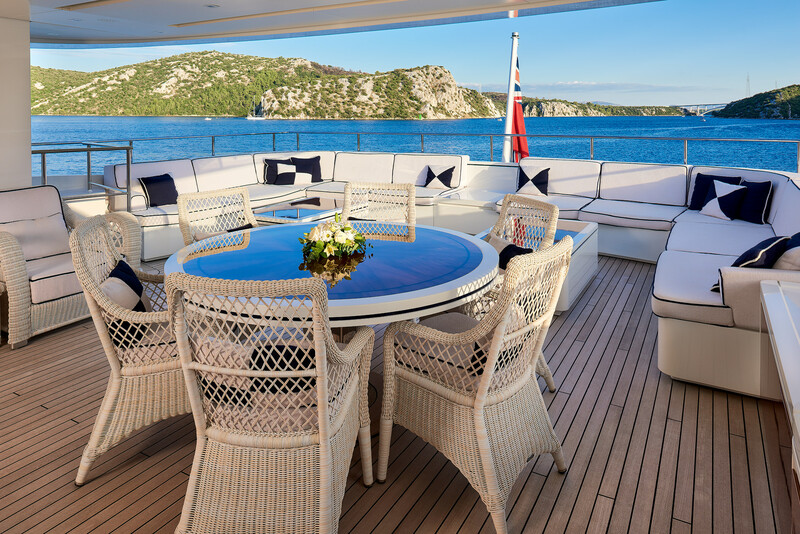 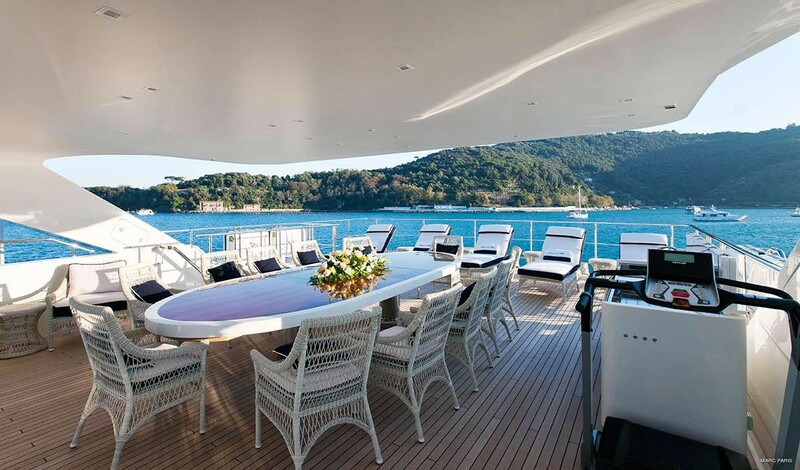 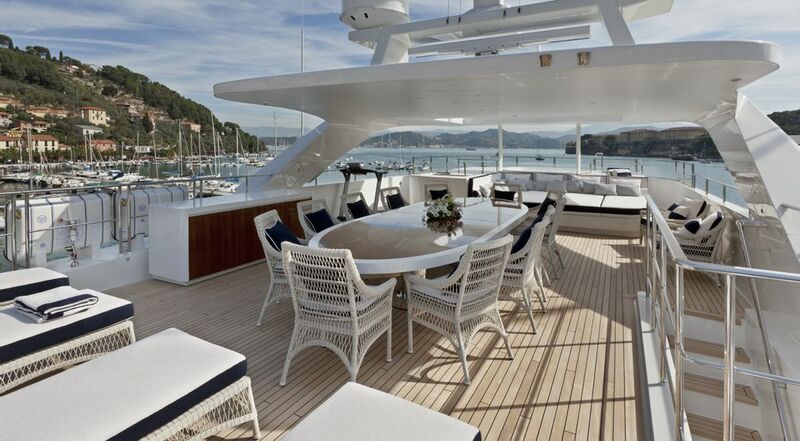 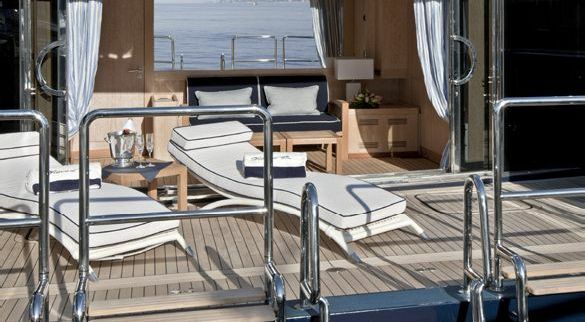 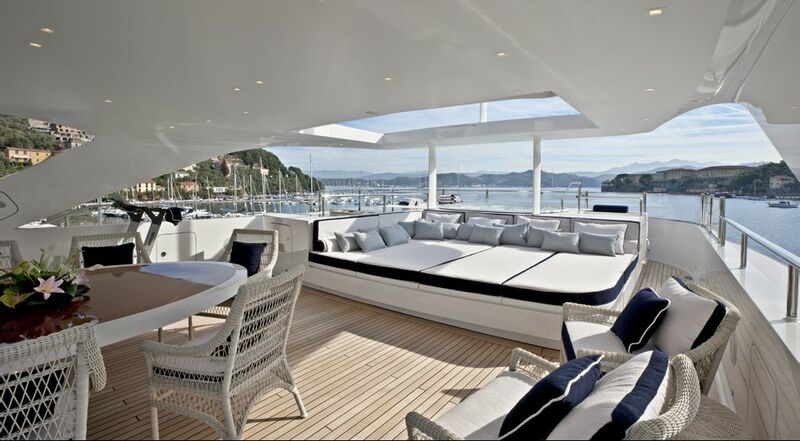 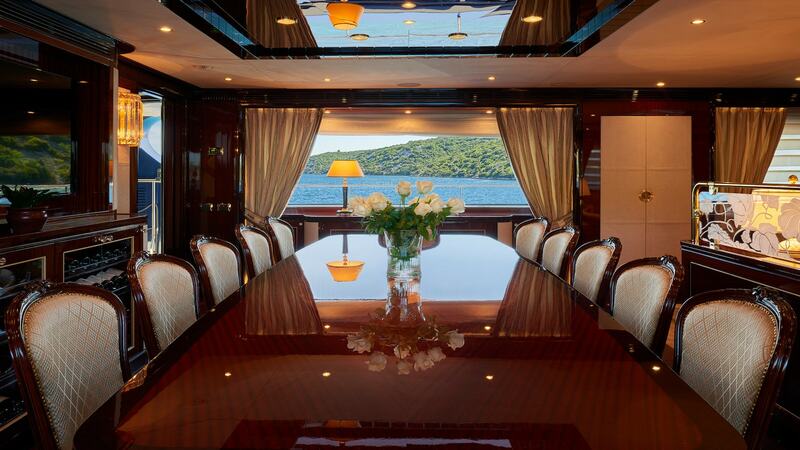 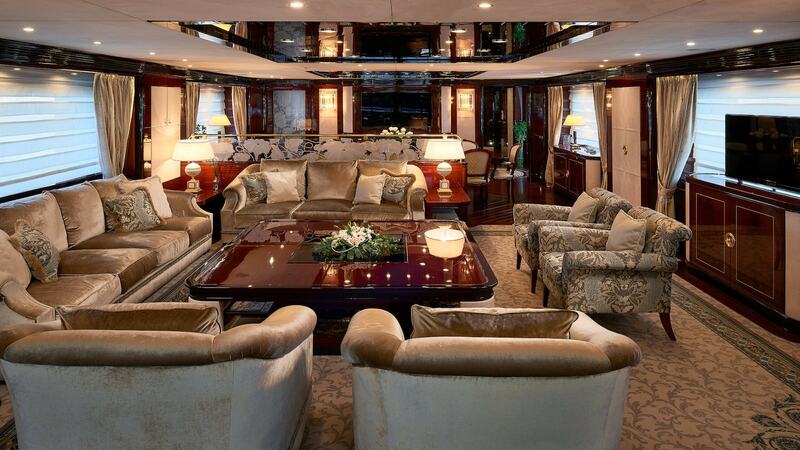 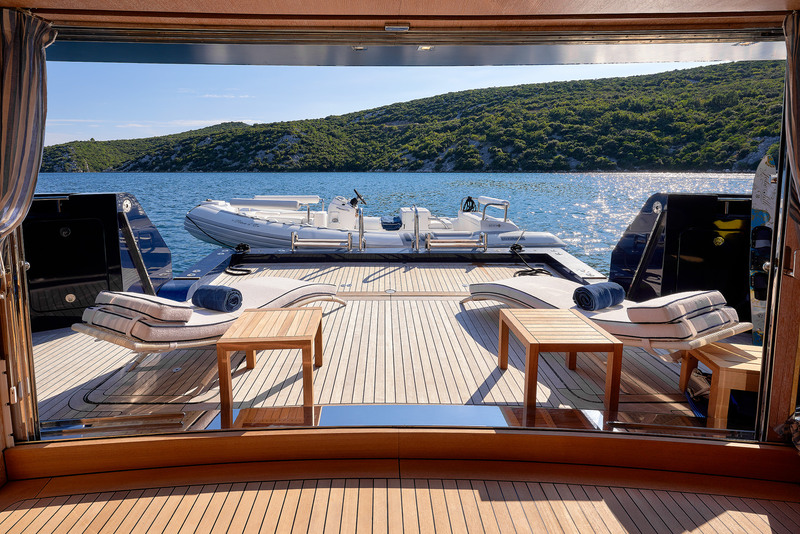 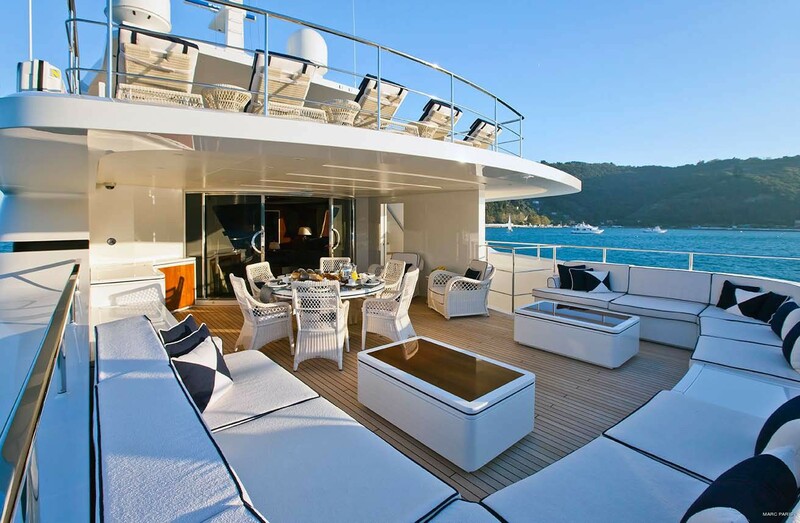 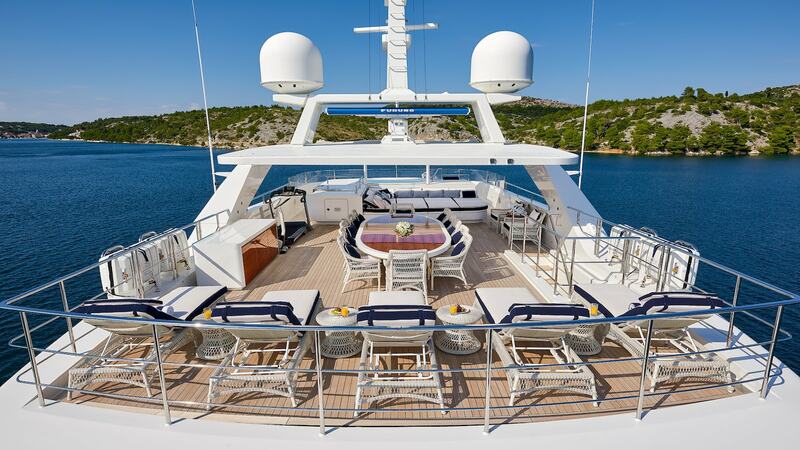 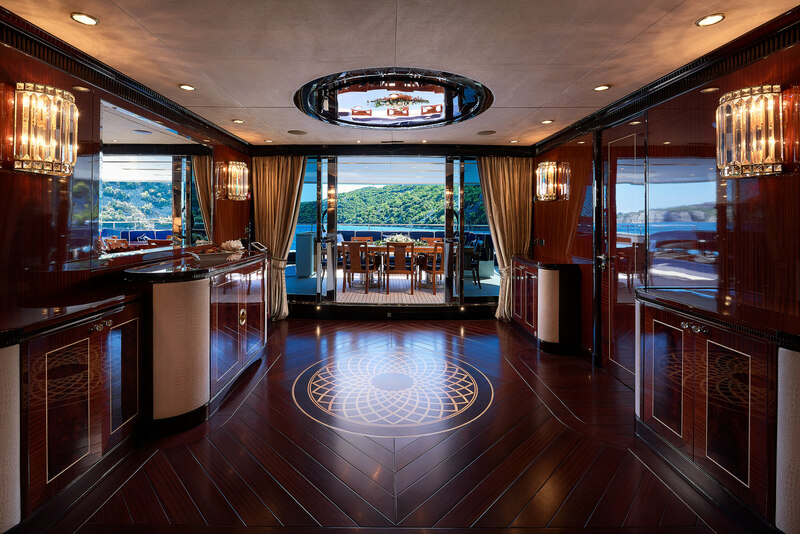 On the main deck, aft of the salon is a shaded alfresco dining table and additional built-in seating. 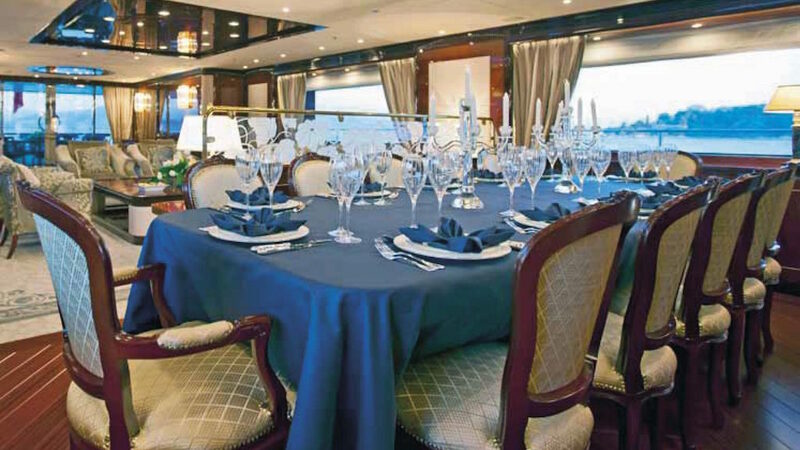 The upper deck has the owner's private space aft, complete with seating areas and tables, while forward of the bridge is a Portuguese deck. 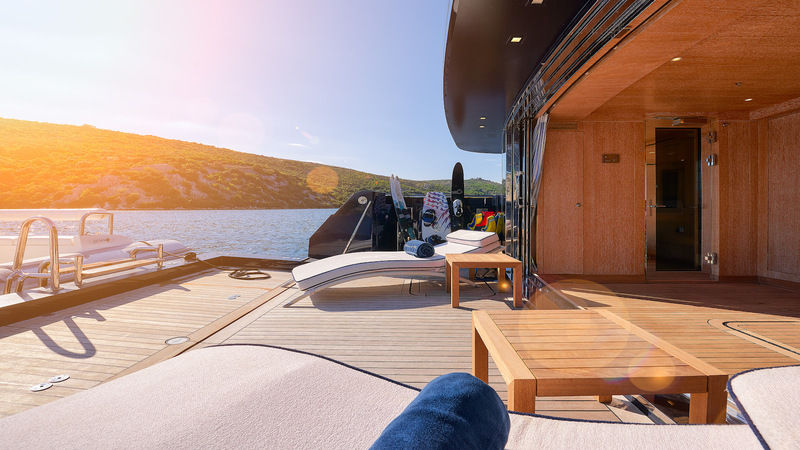 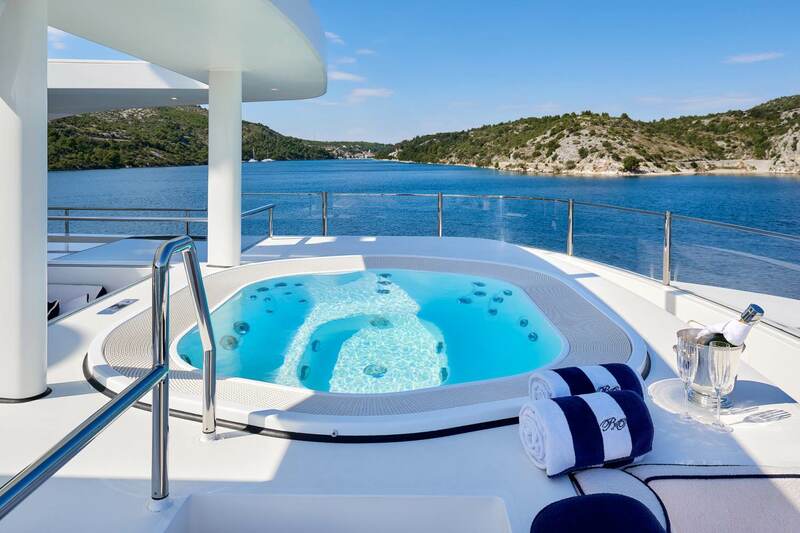 Her sundeck is a great choice for casual relaxation, offering a further alfresco dining option, sunpads, chaise loungers, deluxe Jacuzzi tub and partial shade. 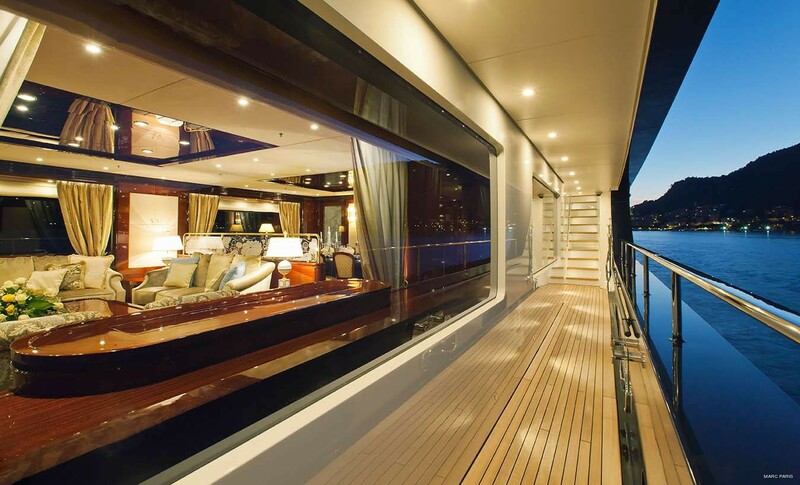 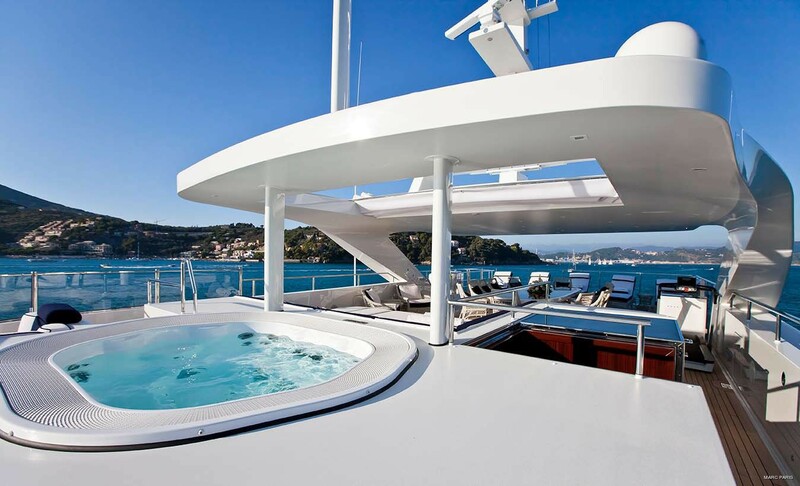 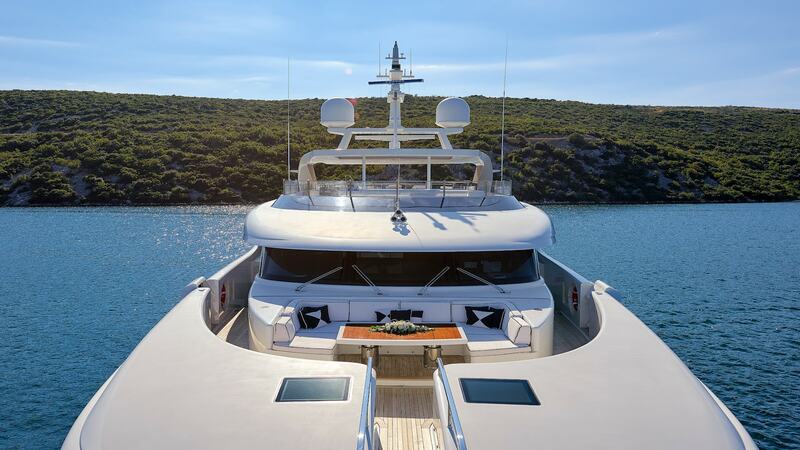 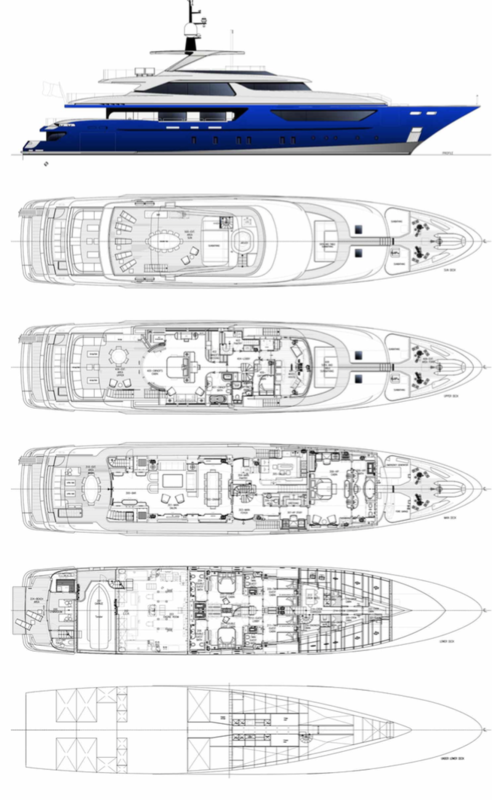 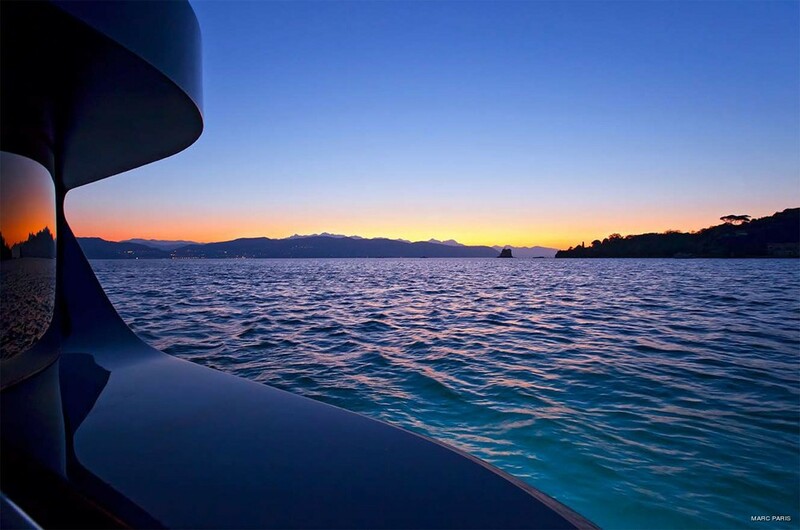 This semi-displacement yacht features a bulbous steel hull and an aluminum superstructure. 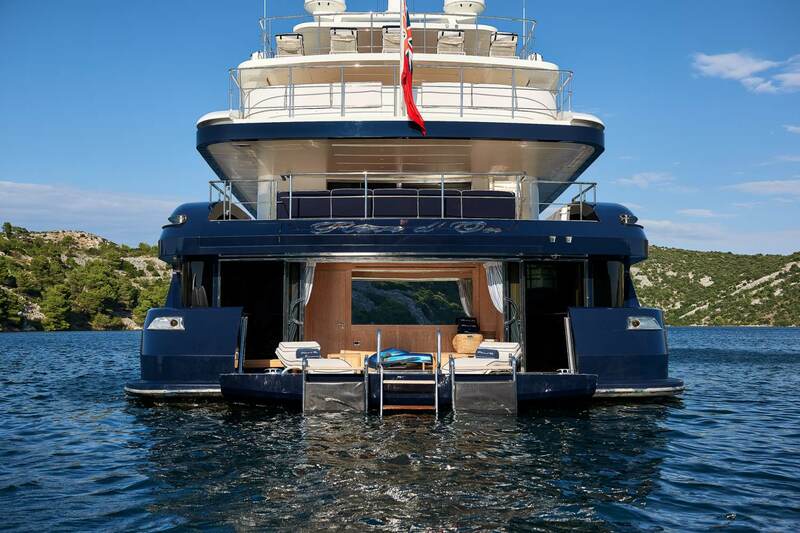 Some of her distinctive characteristics include the Beach Club obtained by folding the transom to water level or the under lower deck, a fifth deck that hosts many technical devices - very easy to inspect and maintain. 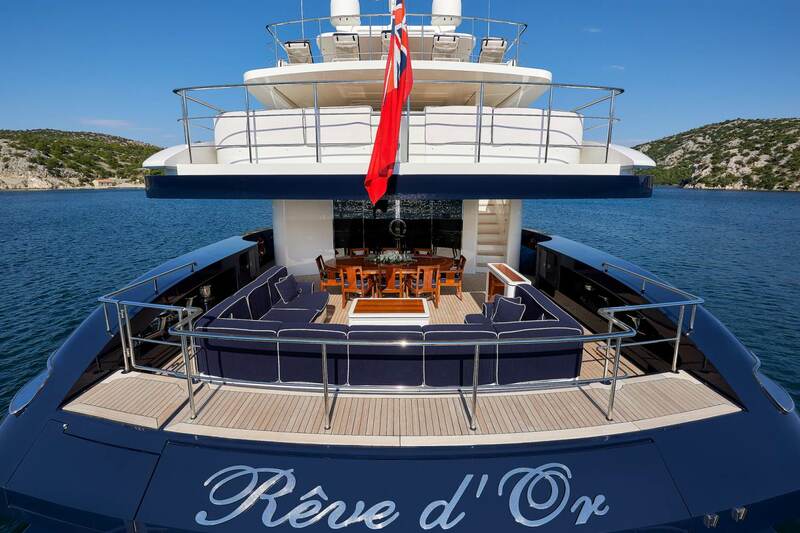 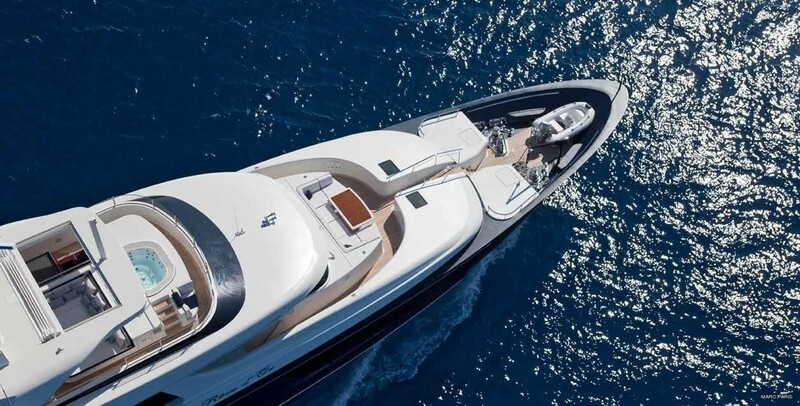 Rêve d’Or is powered by two Caterpillar diesel 3512B DITA-SCAC High Displacement engines, outputting 1,500 kW for a speed of 17 knots and an endurance of 4,000 nautical miles at 12 knots. 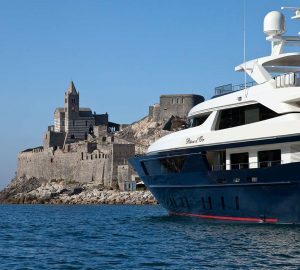 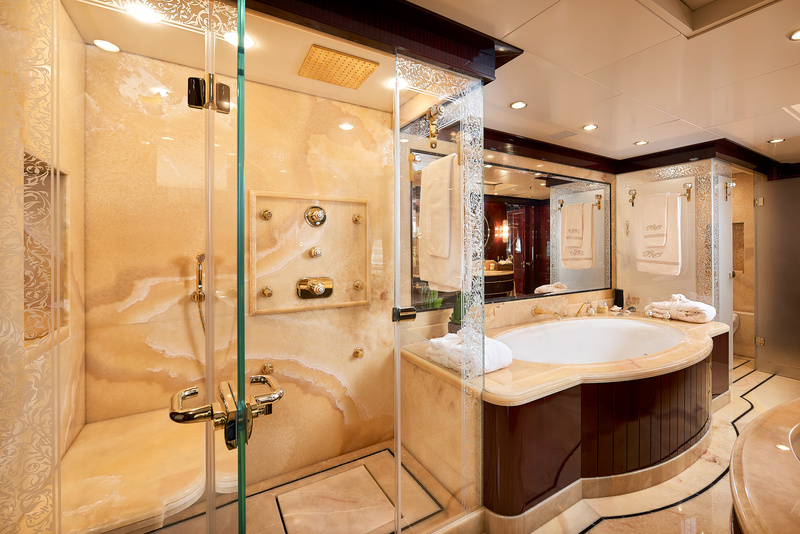 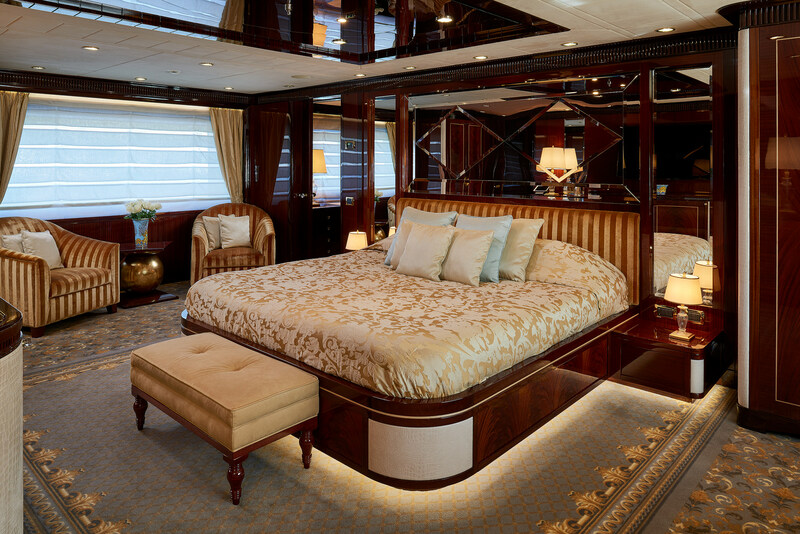 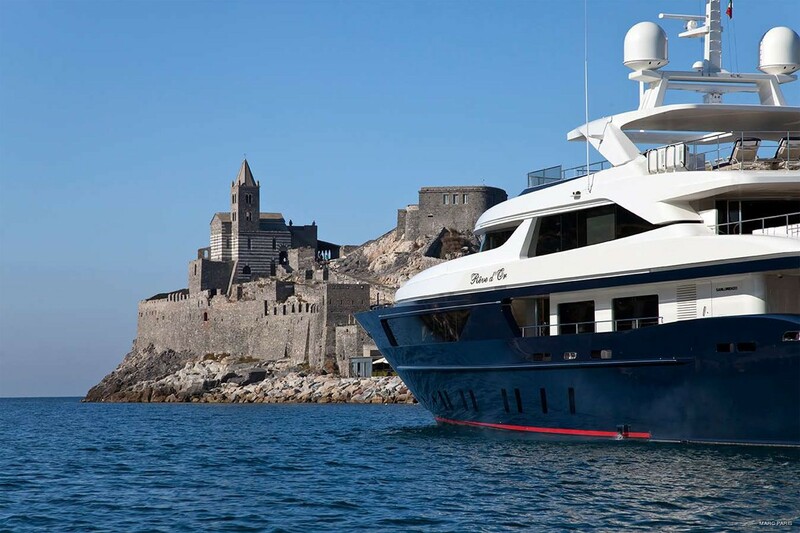 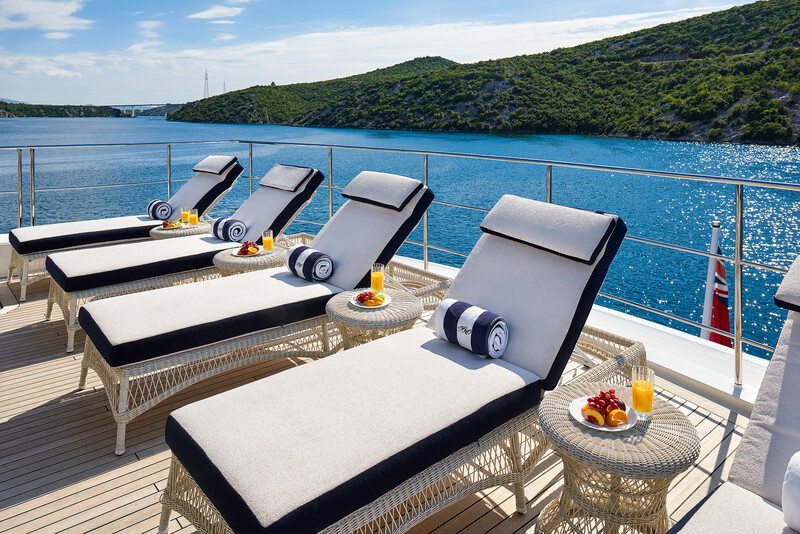 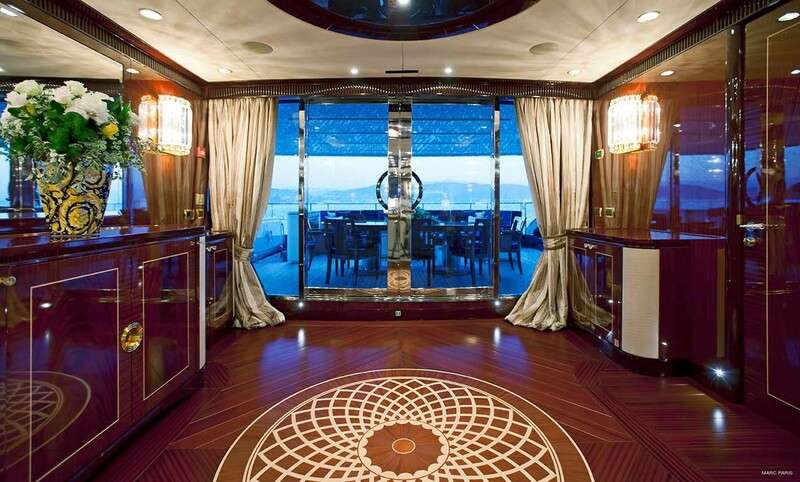 Reve d'Or can accommodate up to 12 guests in six luxurious cabins. 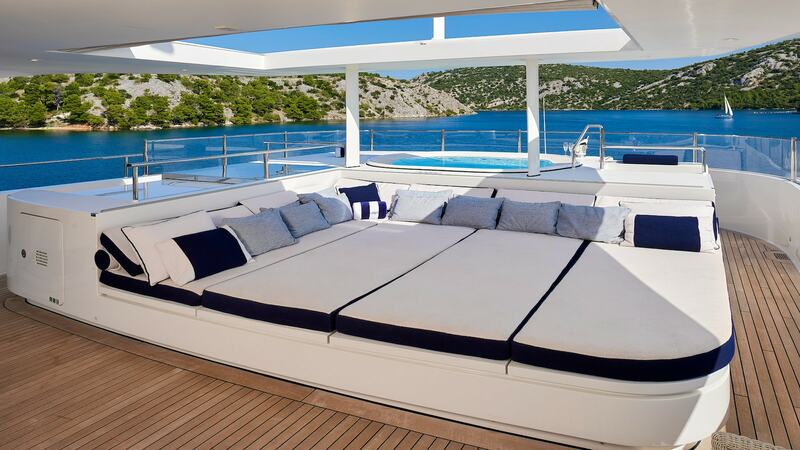 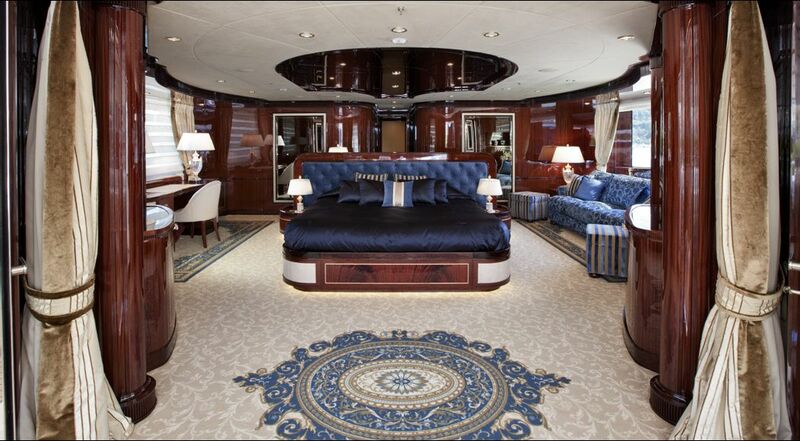 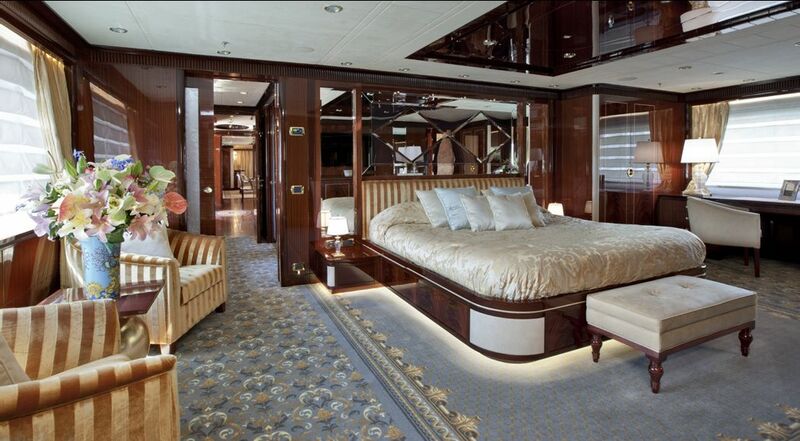 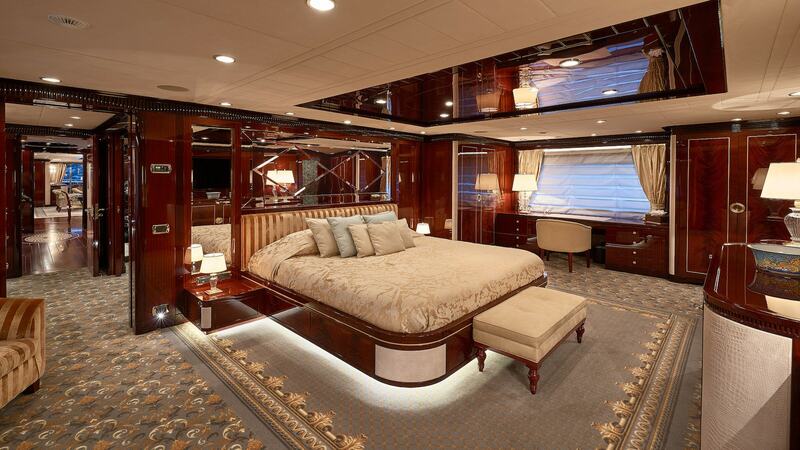 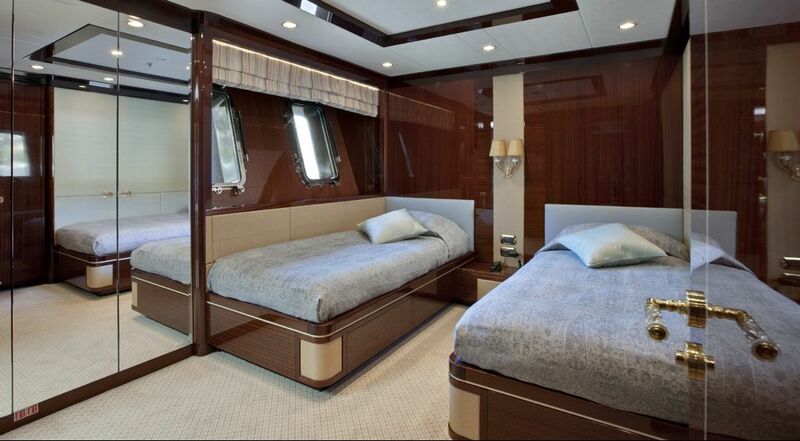 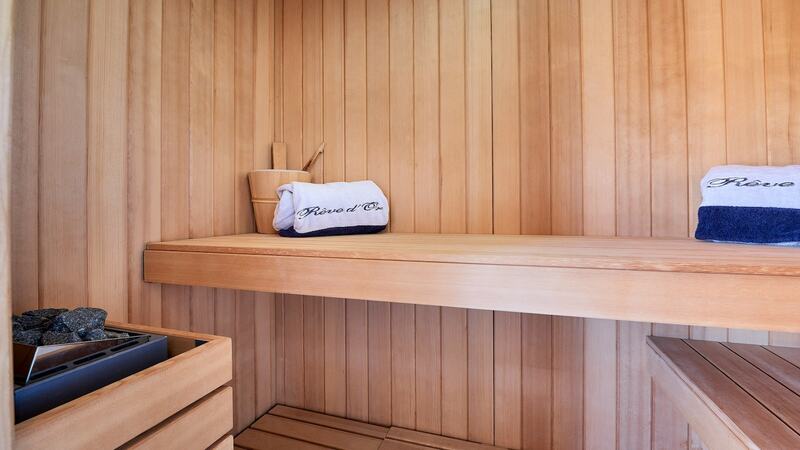 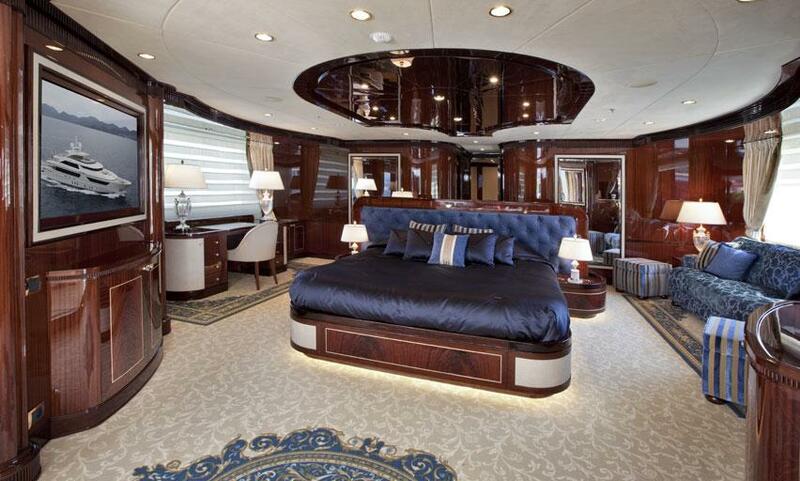 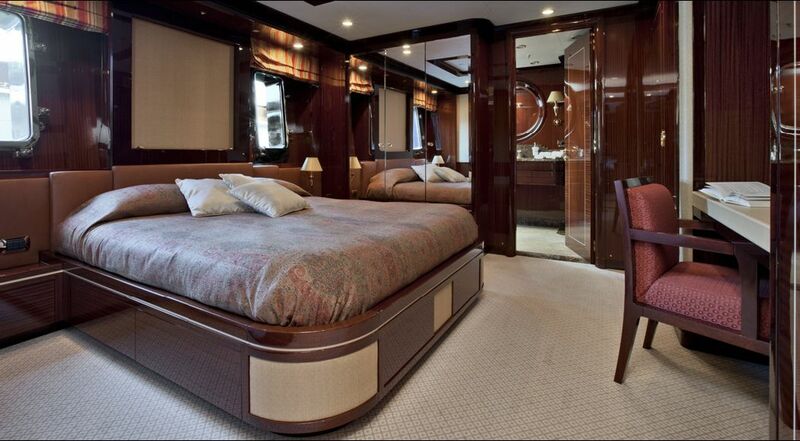 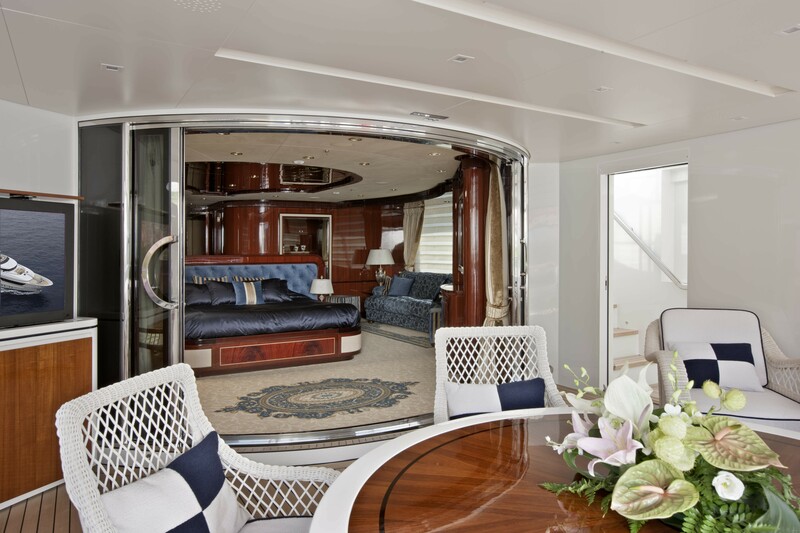 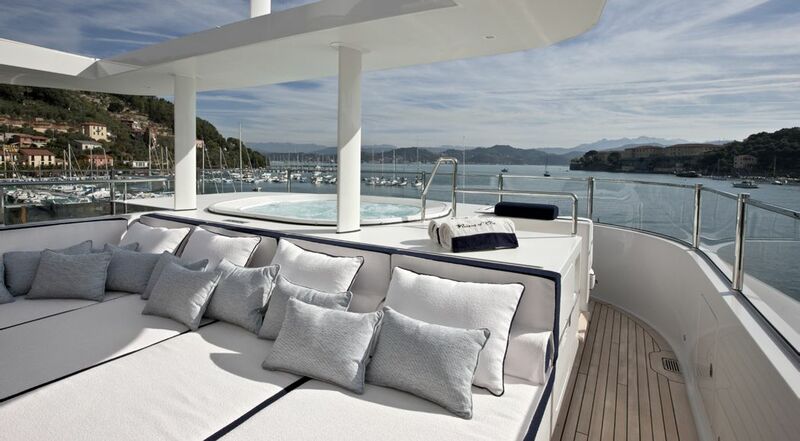 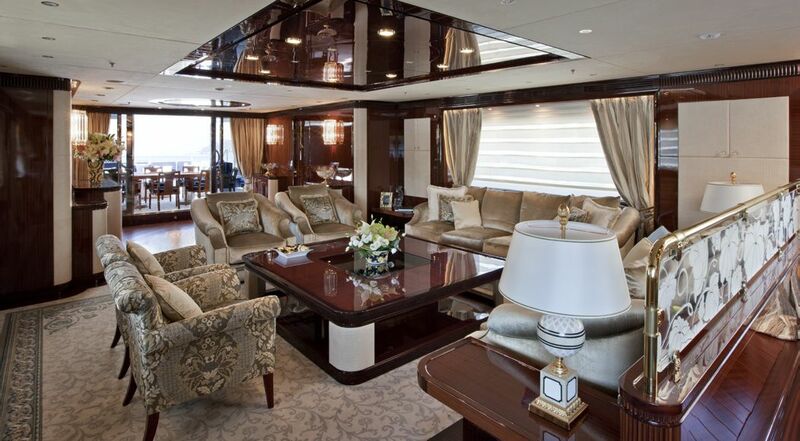 The Master Cabin is situated on the upper deck and provides complete privacy for the principle charter guests. 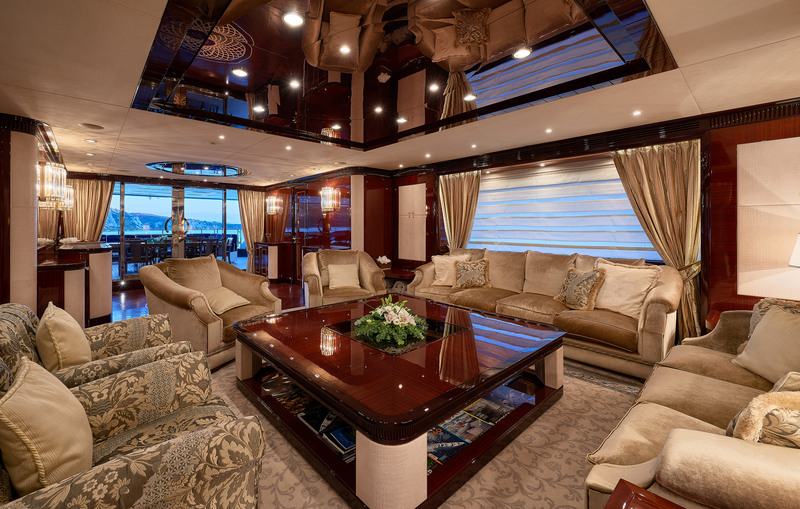 The VIP cabin is situated on the main deck and the remaining four cabins on the lower deck provide guests with both privacy and comfort.